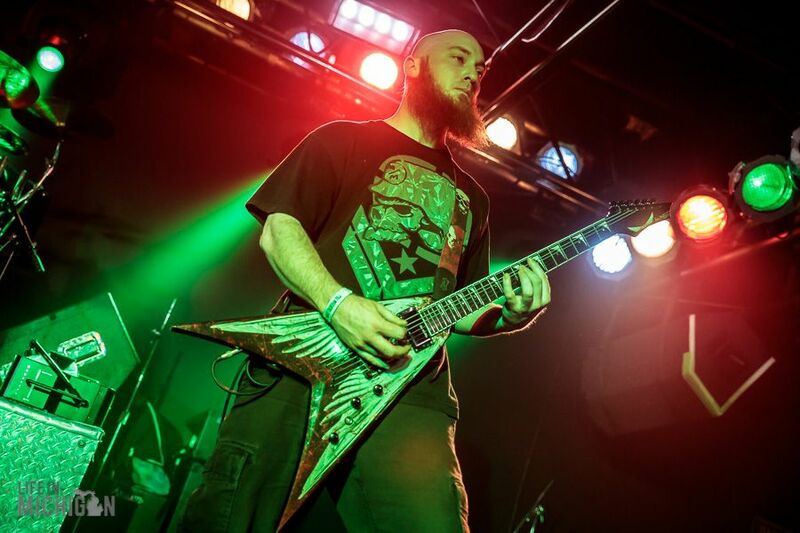 Demise of the Enthroned gathers a stacked line-up of metal to celebrate the release of Angelicide at the Machine Shop in Flint. 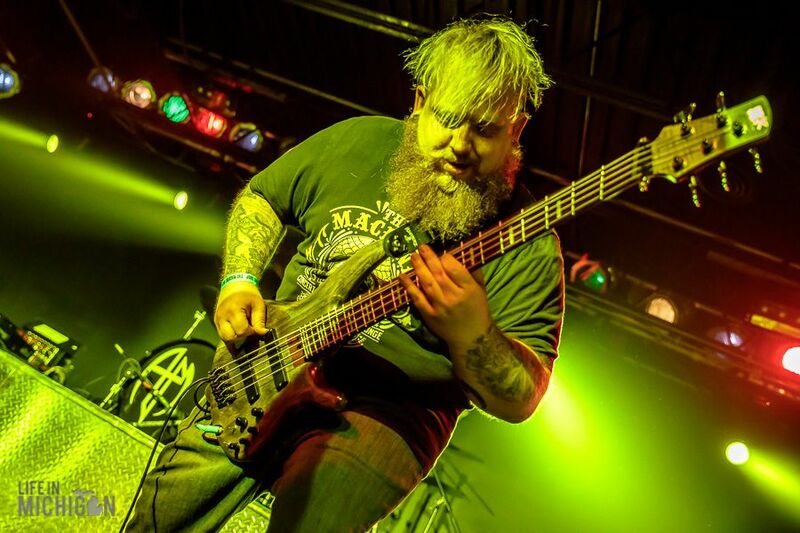 Flint, Michigan may be notorious for poisoned water and urban blight, yet this battled scarred region is a breeding ground for talented musicians. 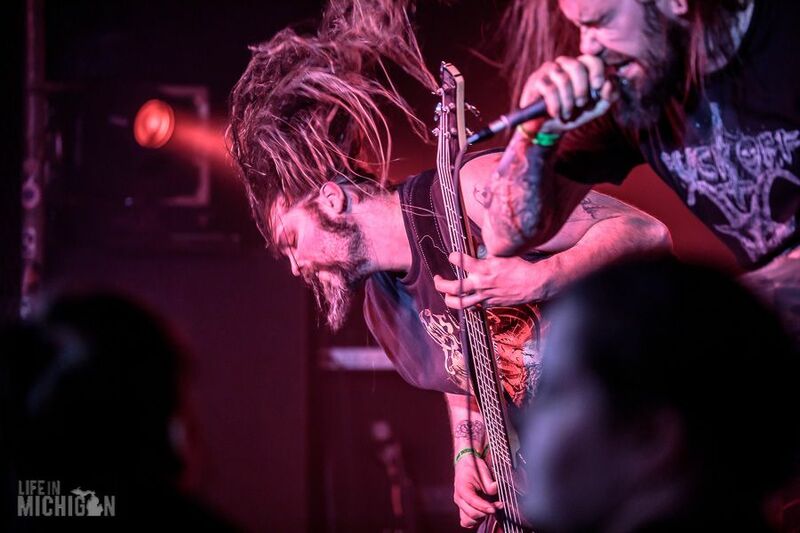 From this hostile environment, a wealth of extreme metal music is pouring out. 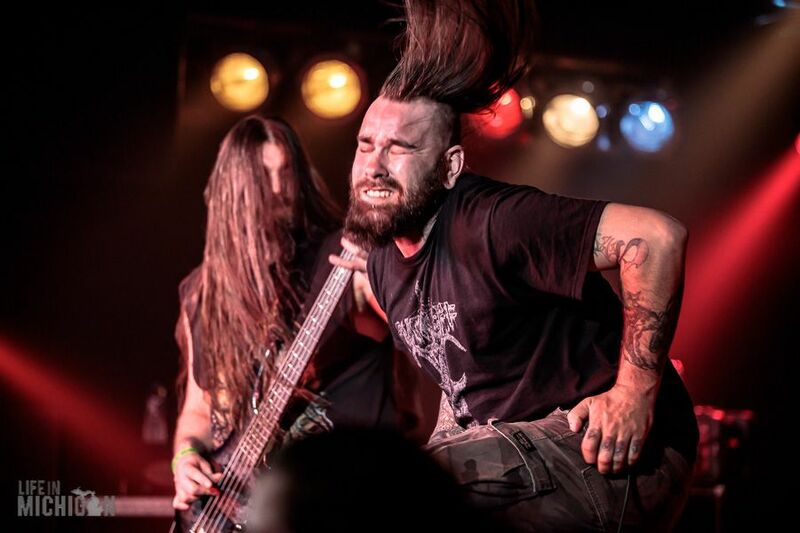 One of these bands is Demise of the Enthroned. 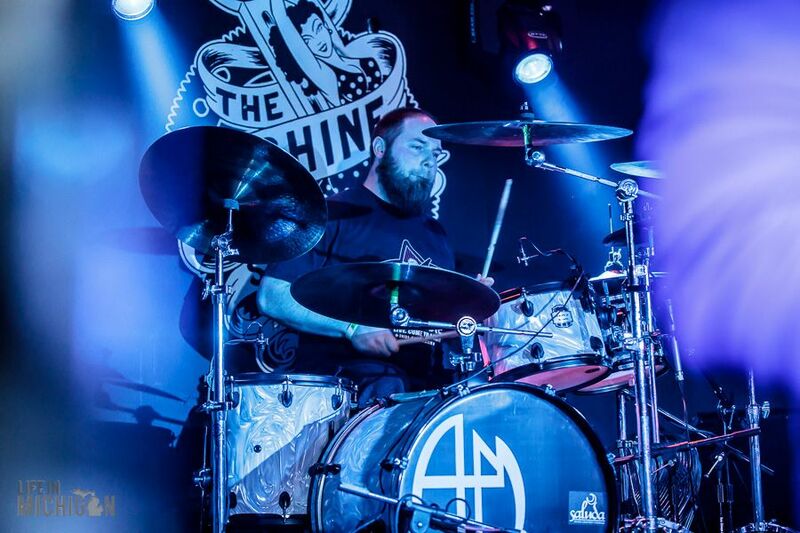 The release of their new Angelicide EP is cause for celebration and the Machine Shop is the perfect venue to get happy with heavy metal. 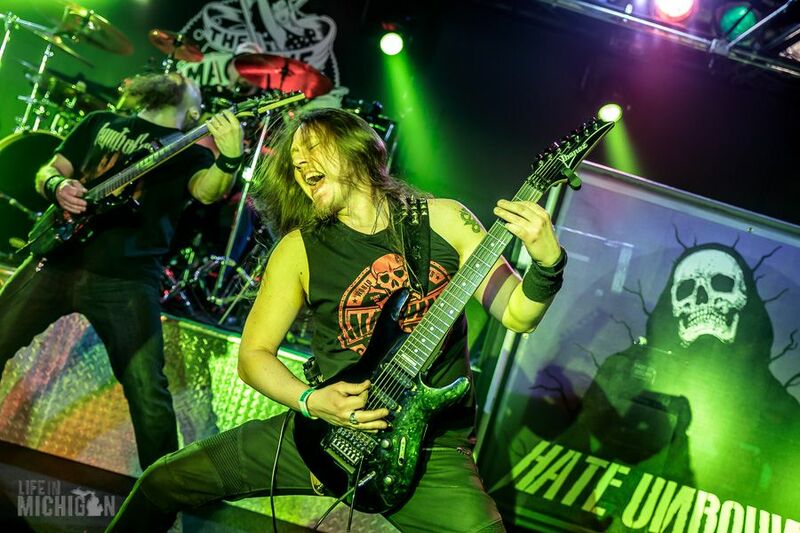 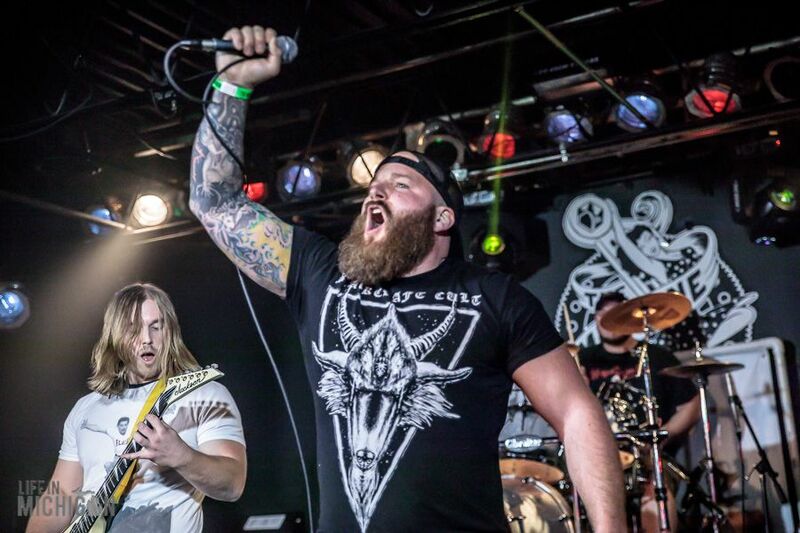 The show starts with a bang as Detroitâ€™s premier metal band Hate Unbound fill the air with pummeling rhythms. 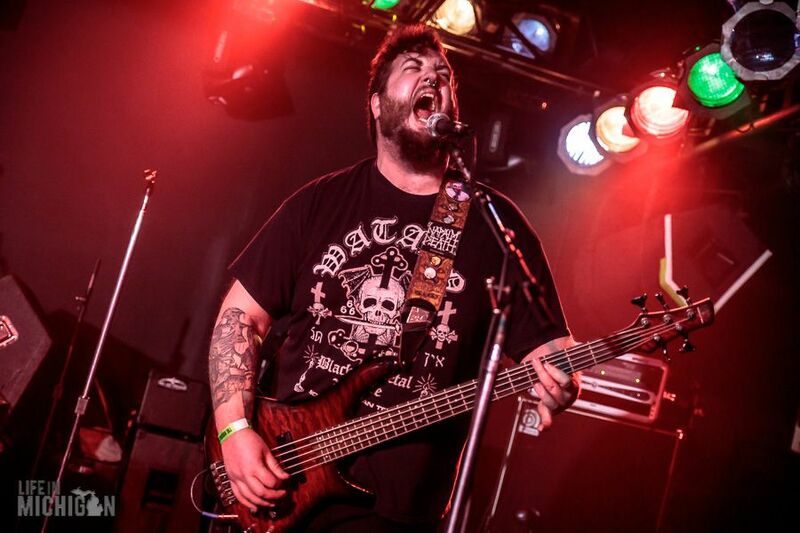 The band recently released their new album Plagueâ€™ and are tuned up for a Midwest tour that starts later in the week. 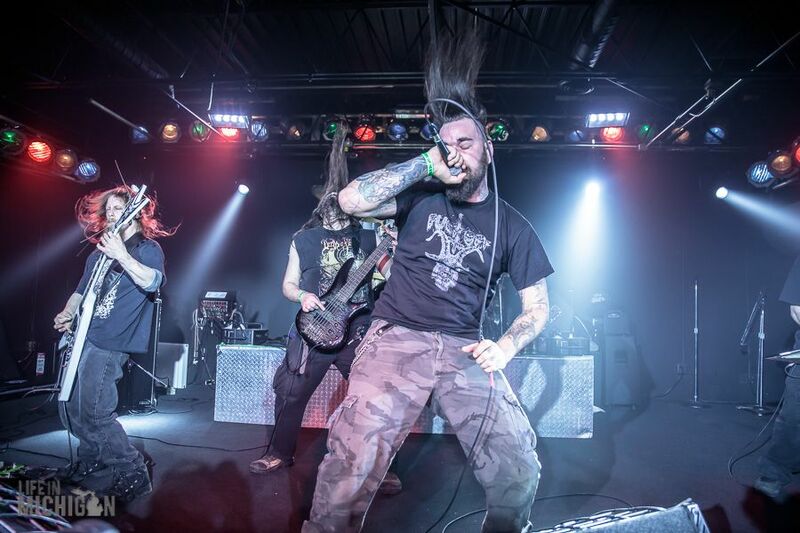 Fans at the barricade hold the horns high as the band rips into their set of thrash and death. 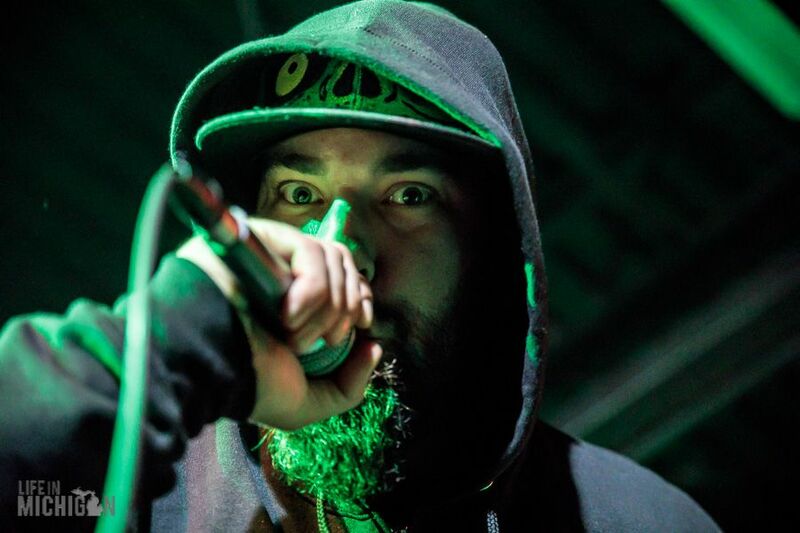 There is hardly a break in the action as Fate of Misery gets setup and sears the atmosphere with the sounds of death. 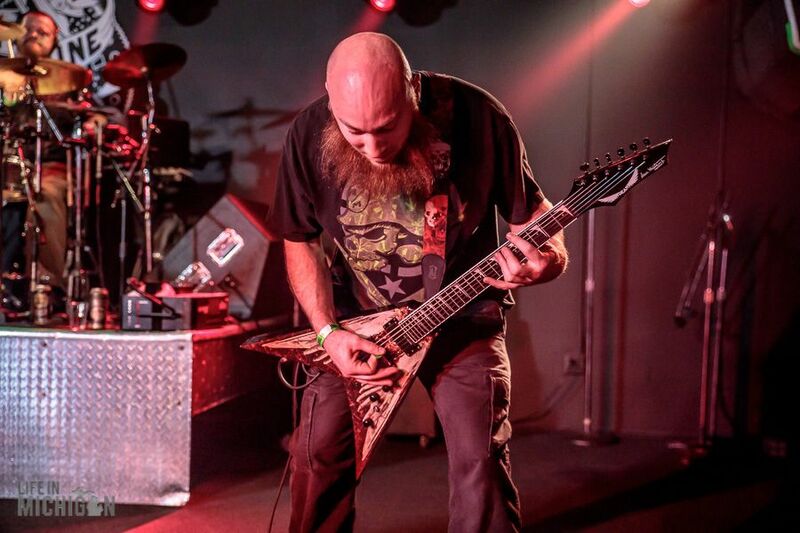 This drum and guitar duo produce intense old school death metal with vigor. 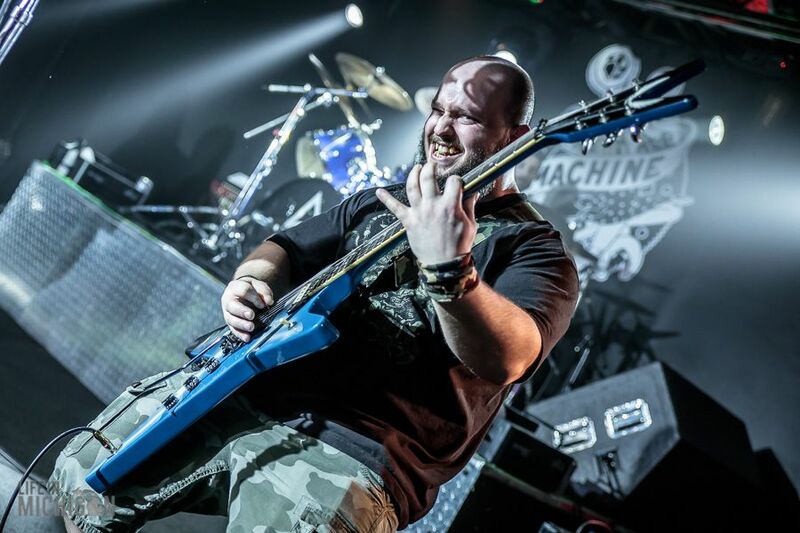 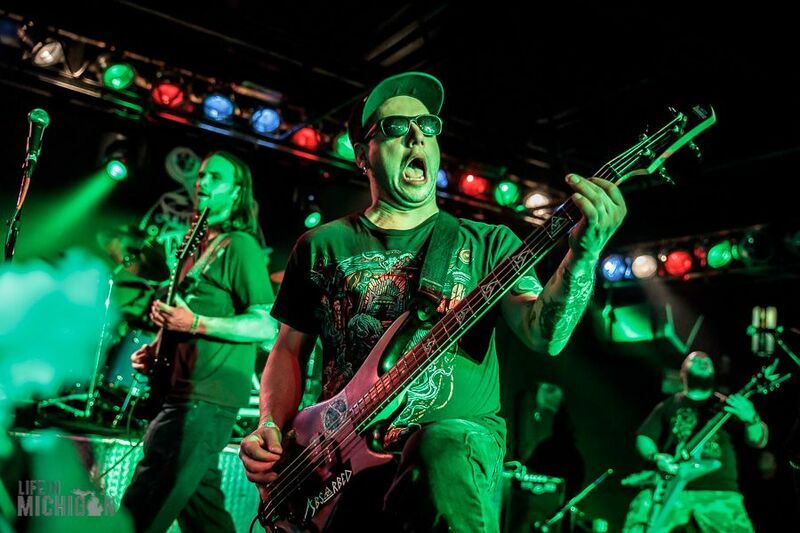 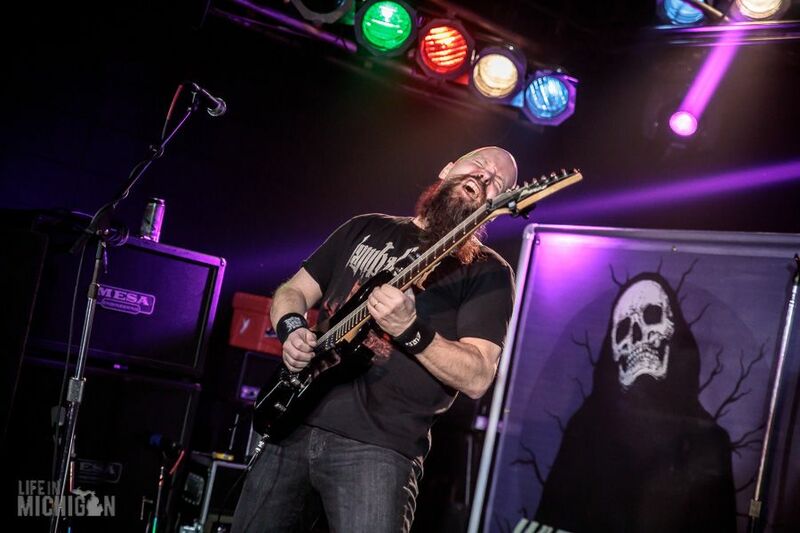 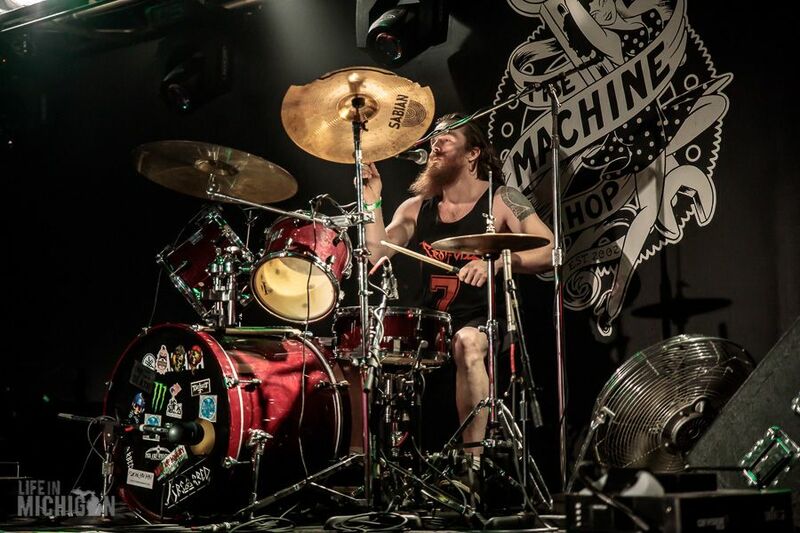 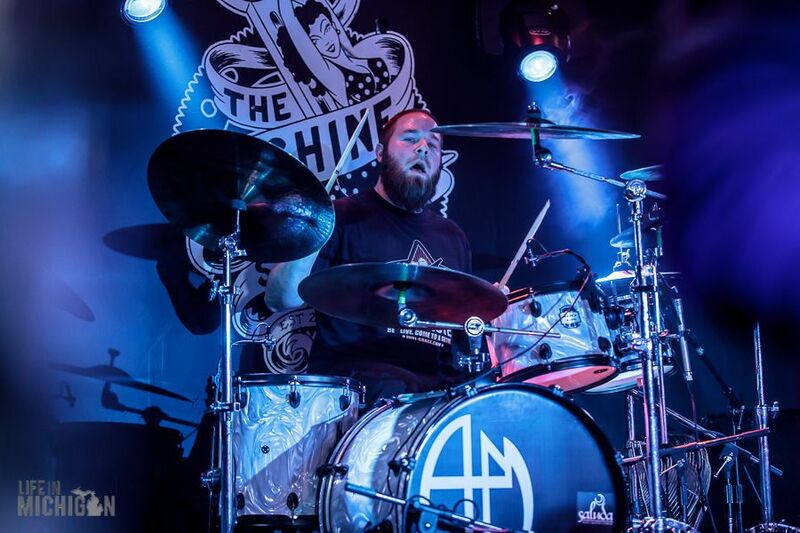 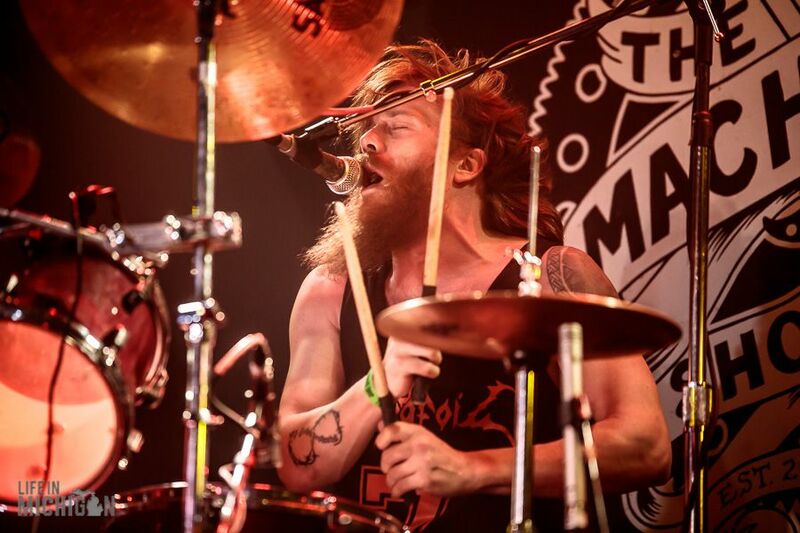 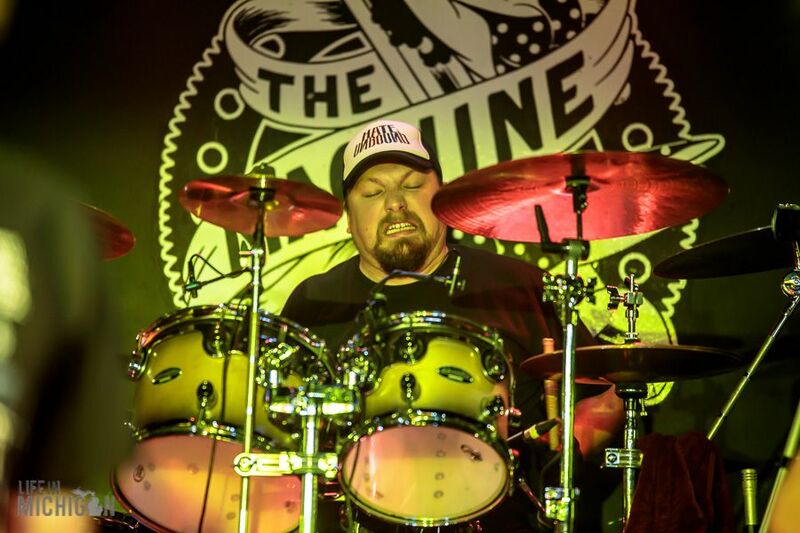 It is evident that these guys are having a great time playing in their hometown at the Machine Shop. 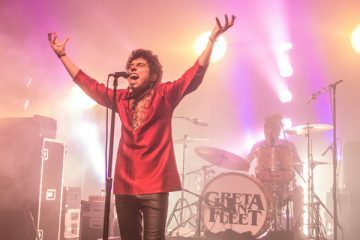 They have the fans up front moving with the music. 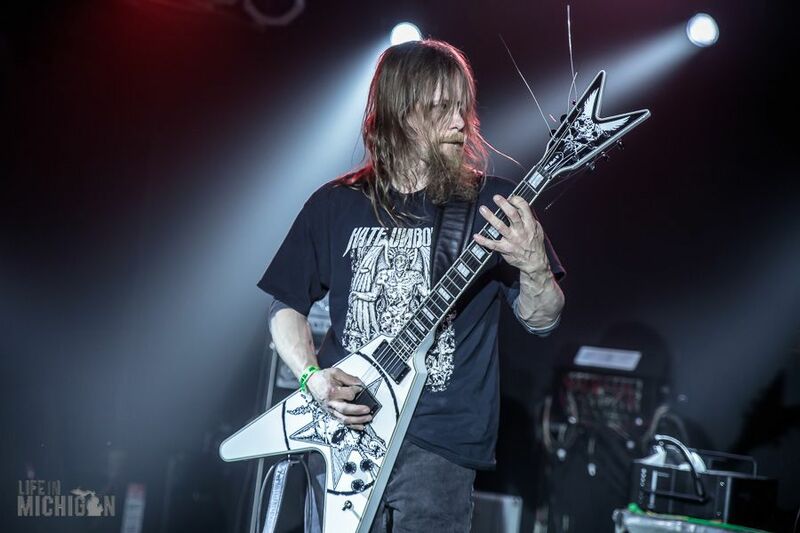 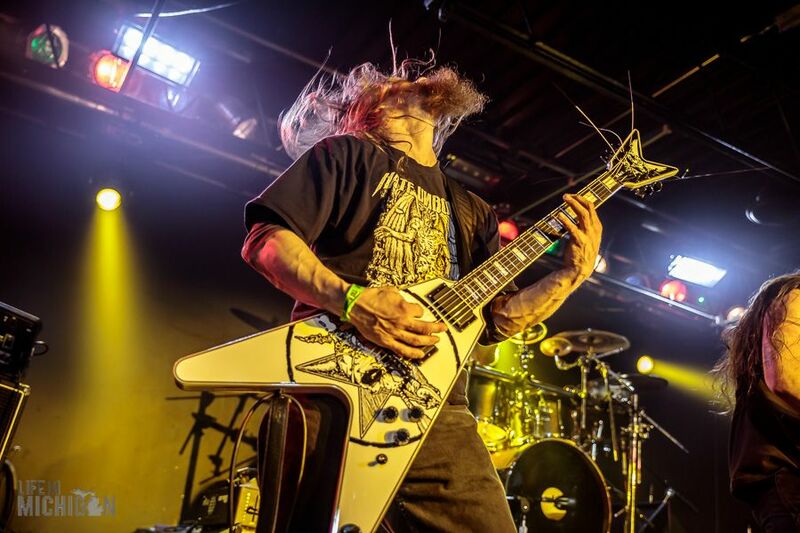 When it comes to thrash, there is nothing else like Pick Axe Preacher. 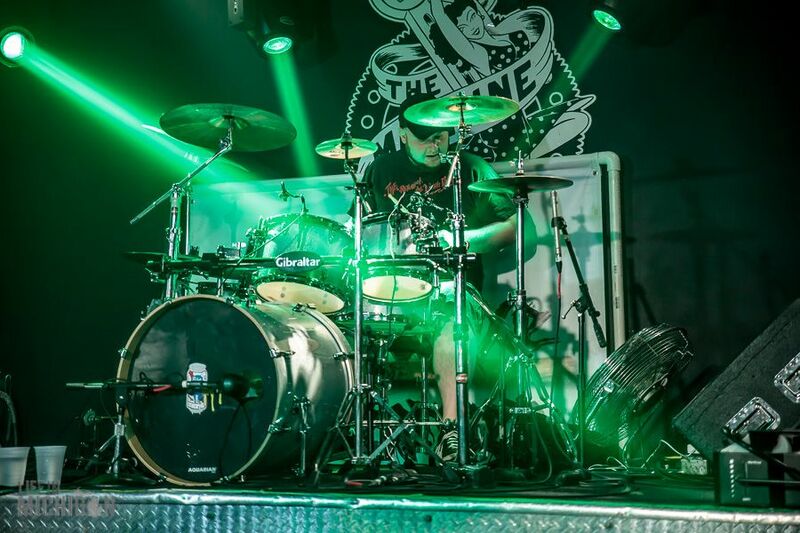 The stage lights bath the band in red and greens as they tear into vicious riffs. 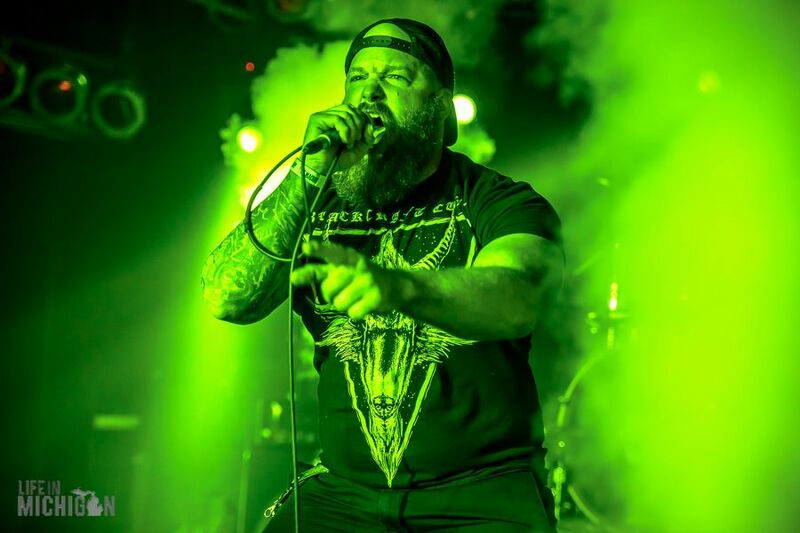 This Detroit band incites a mosh pit with music that resembles a nitro drag car burning down the track. 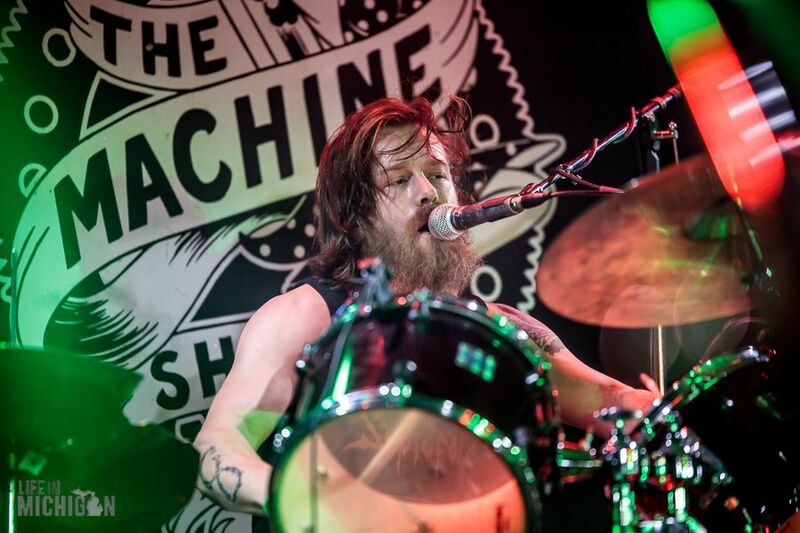 Clearly, the fans love this band given the enthusiastic cheers that fill the air. 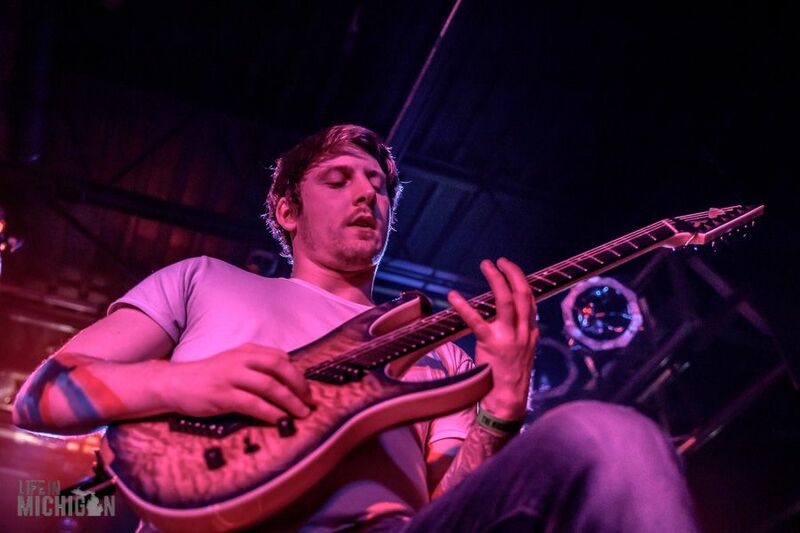 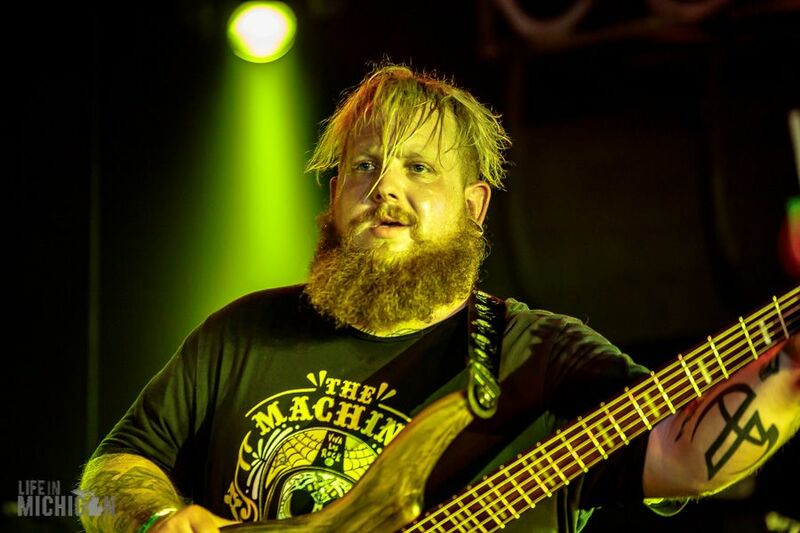 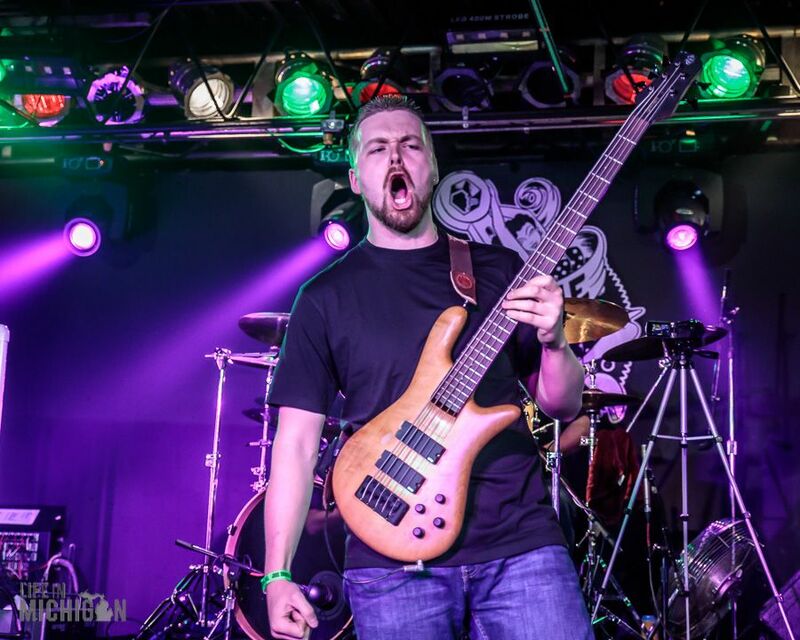 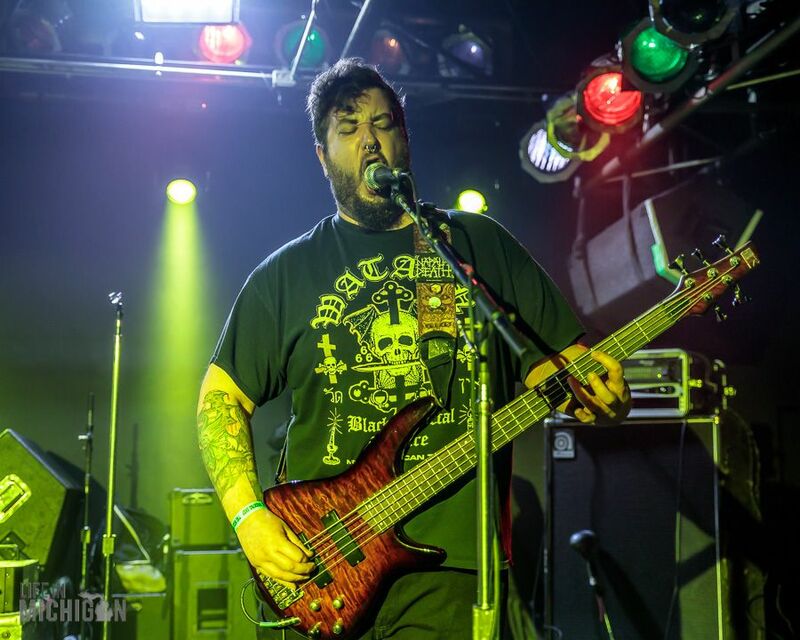 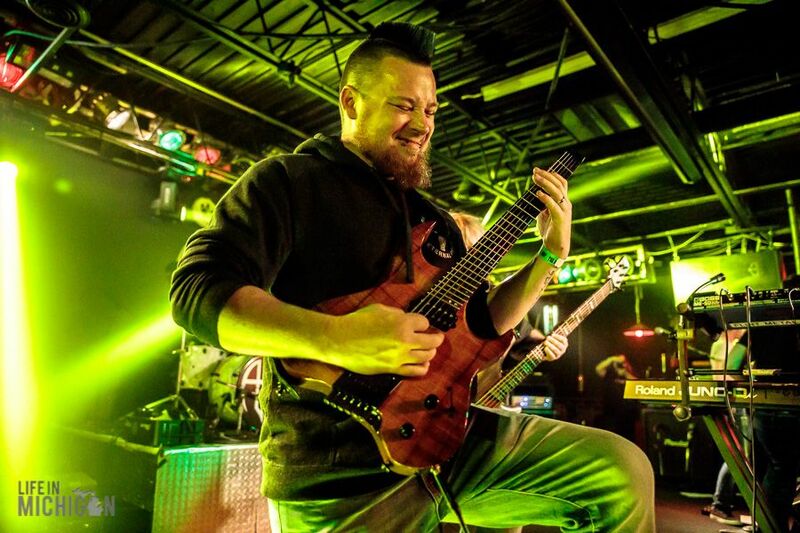 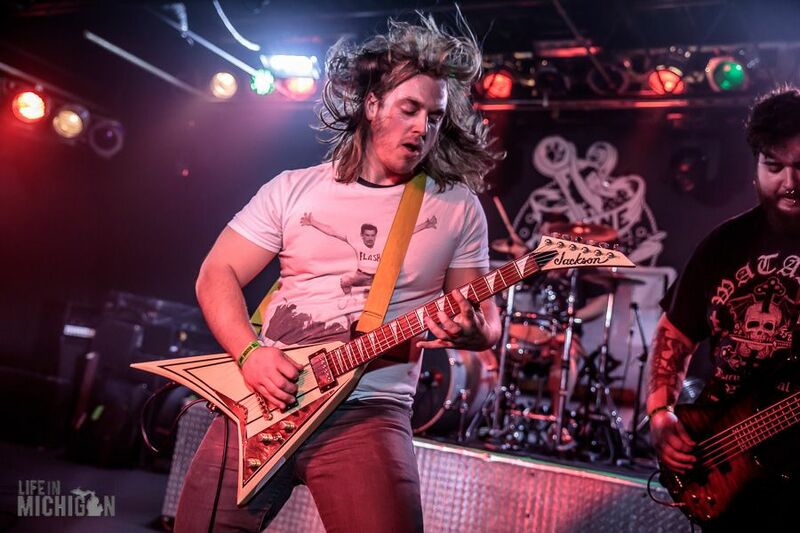 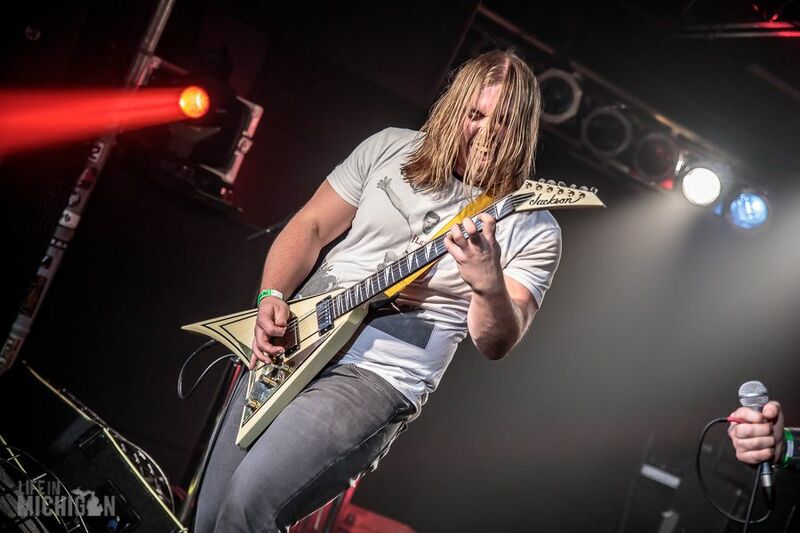 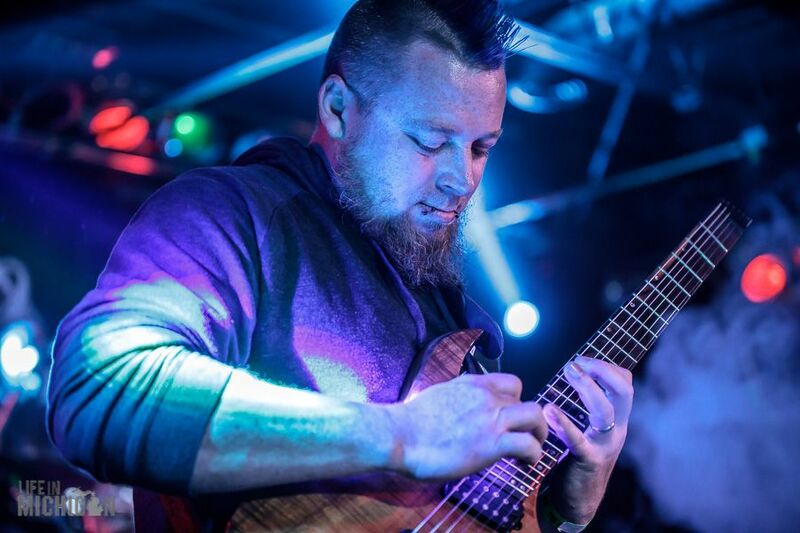 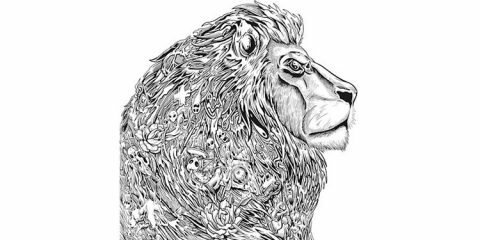 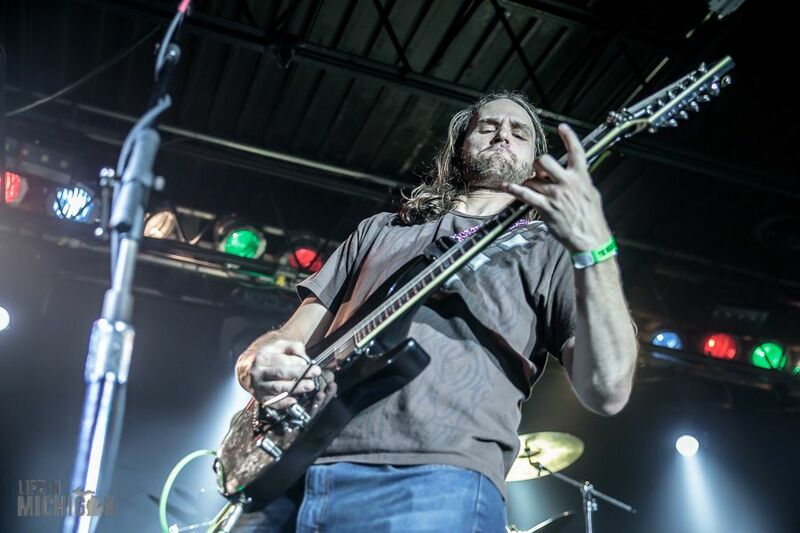 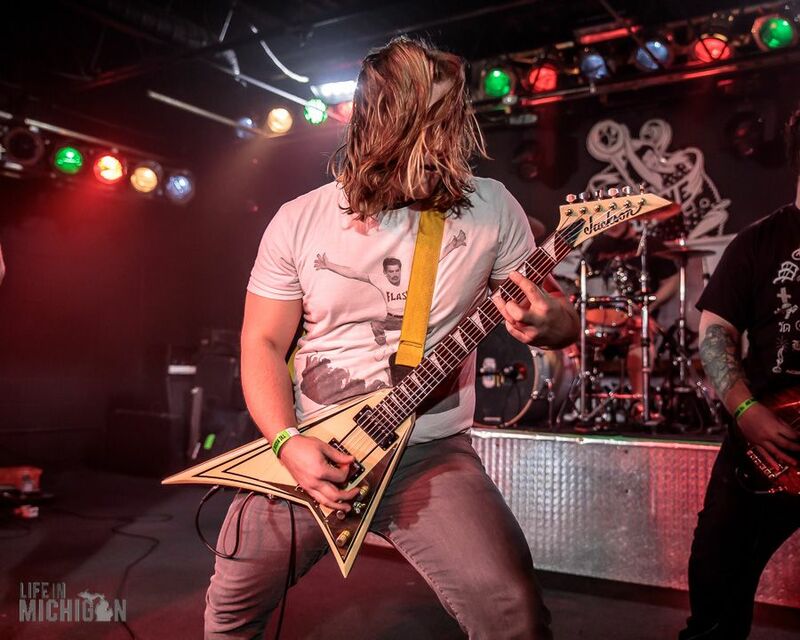 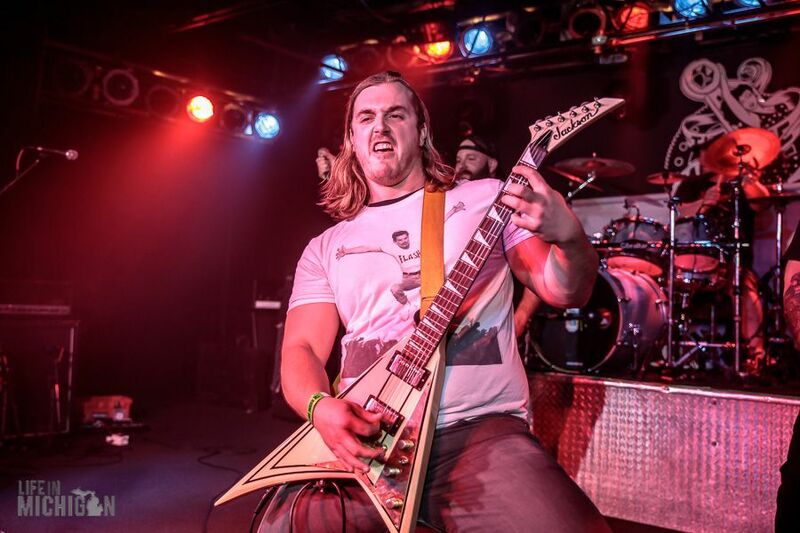 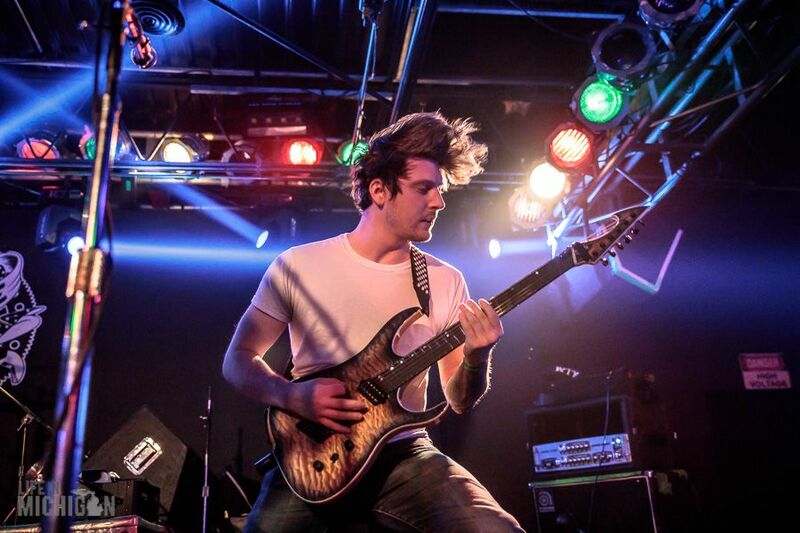 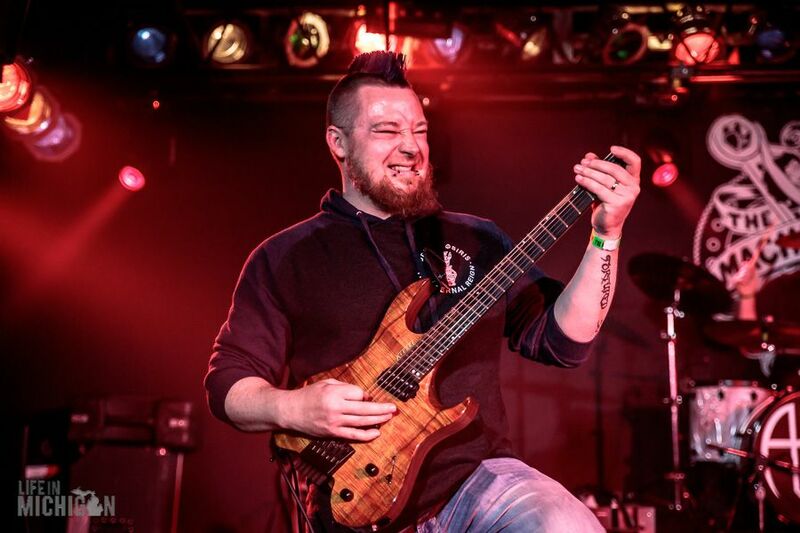 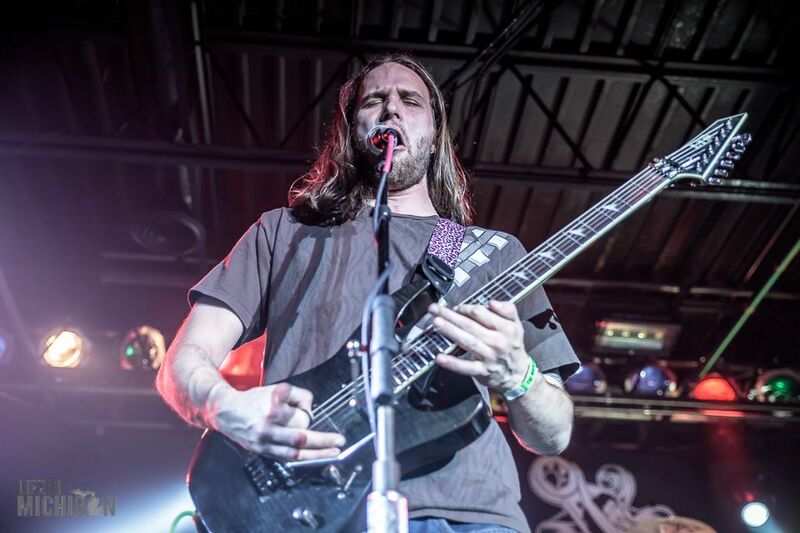 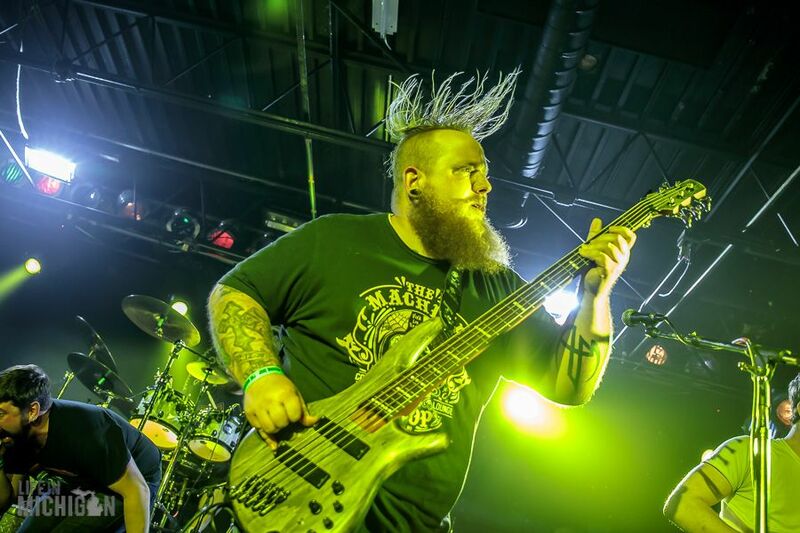 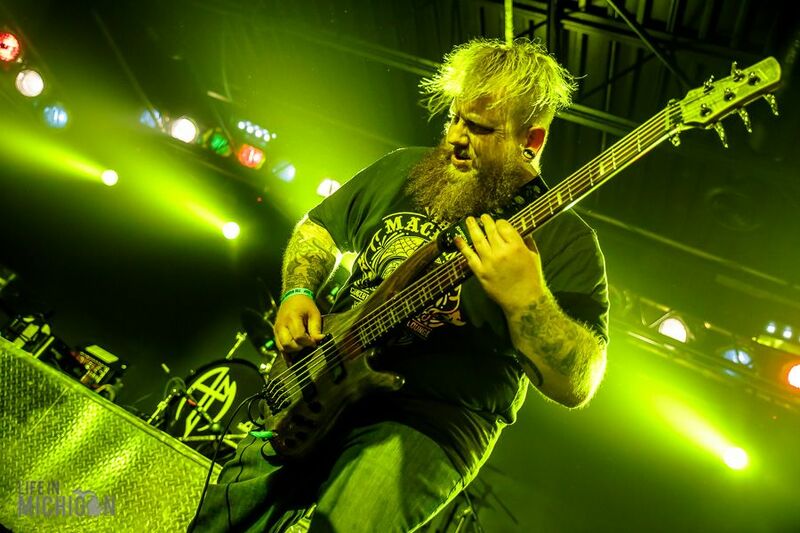 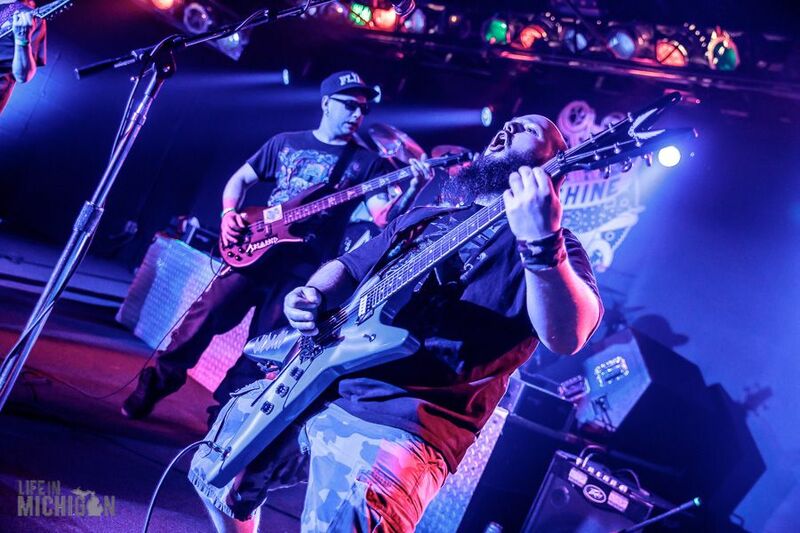 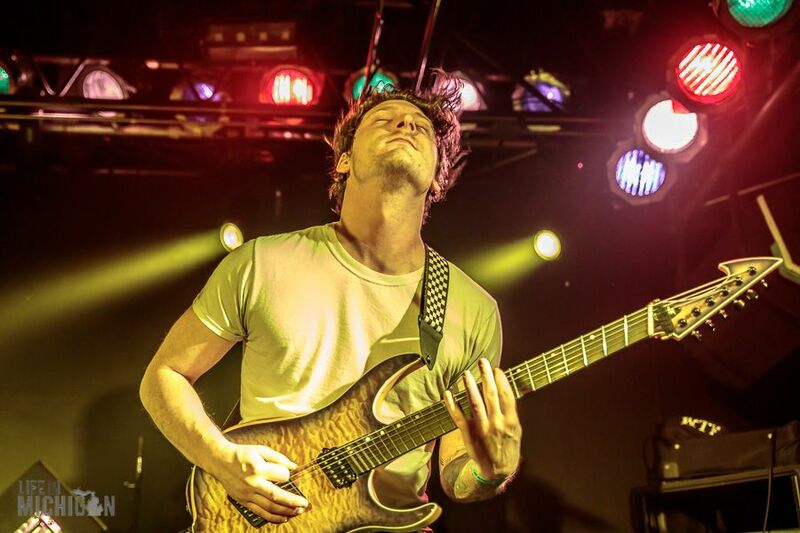 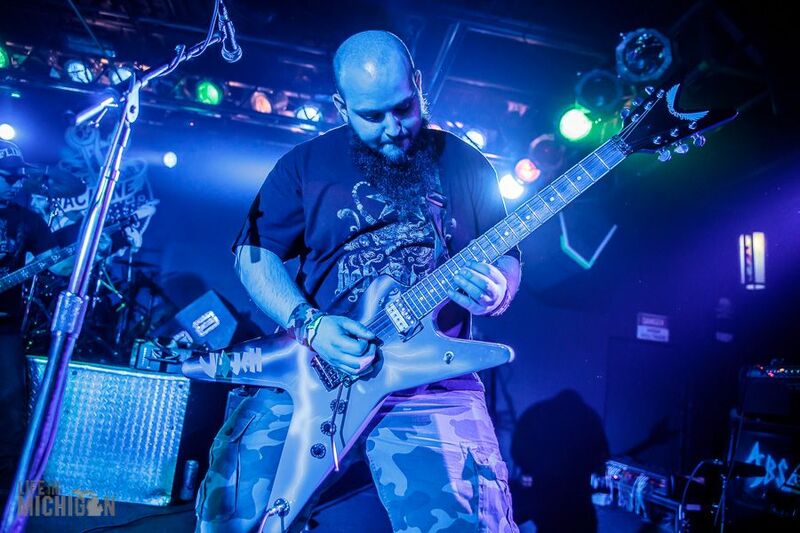 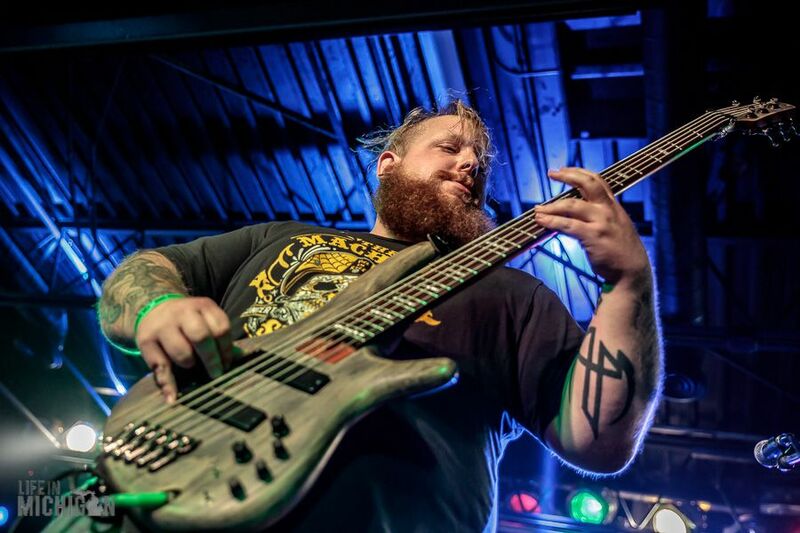 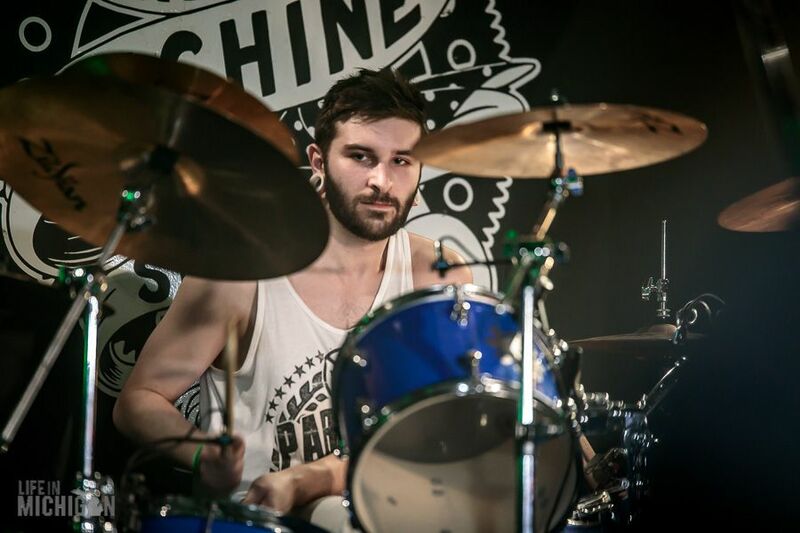 Michiganâ€™s rising star in extreme progressive metal and metalcore genres is After The Minor. 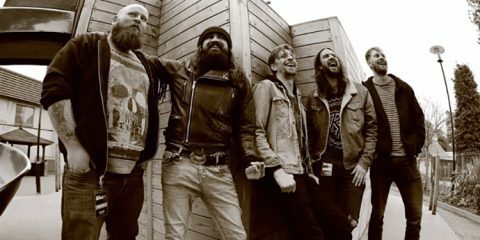 They have just completed the recording of their new album called The Decadenceâ€¦The Decay which should be out this summer. 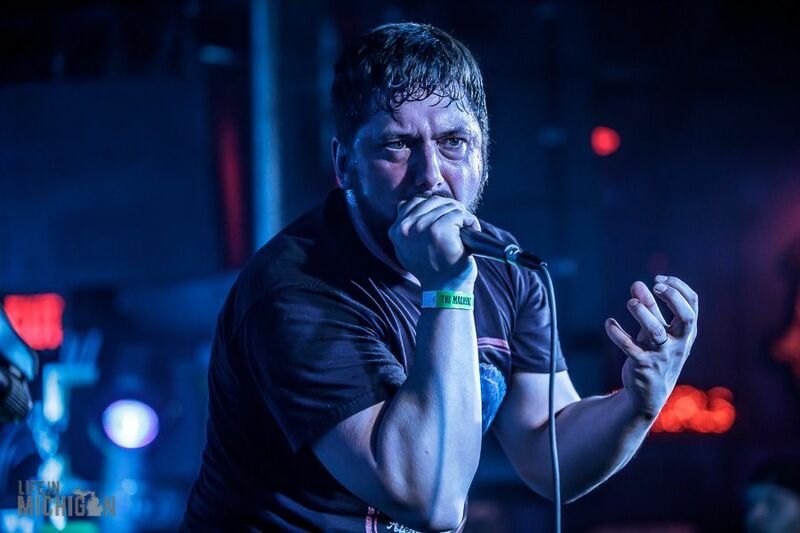 The band hits hard and often with vocalist Nic Ward climbing up on the barricade to scream with the fans. 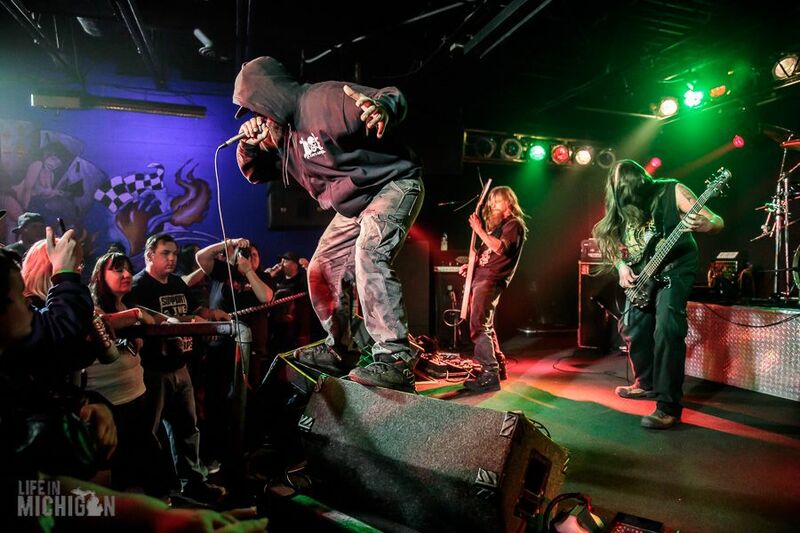 There is a serious amount of action in the pit as bodies collide with each crashing beat. 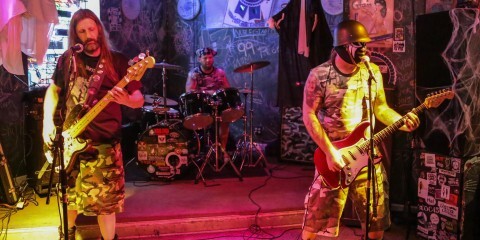 These Flint natives have the audience tuned up and ready to explode. 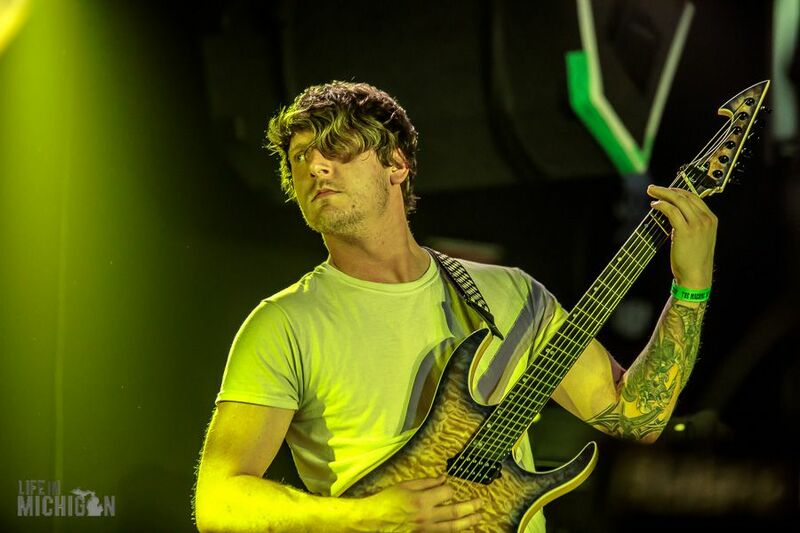 The pace of this show is brisk. 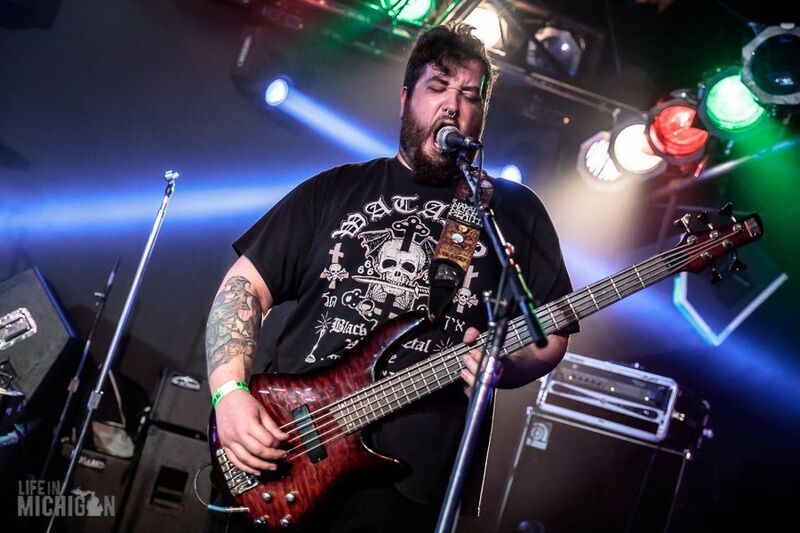 After a quick set change the featured band, Demise of the Enthroned is on stage. 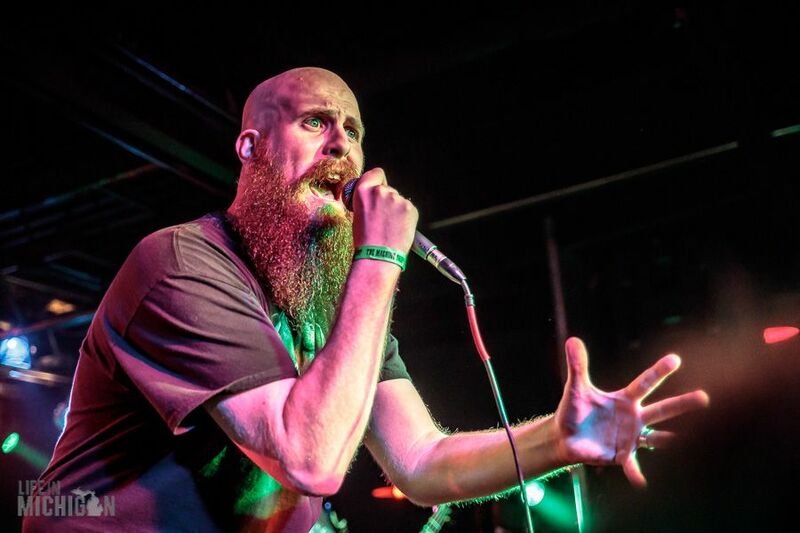 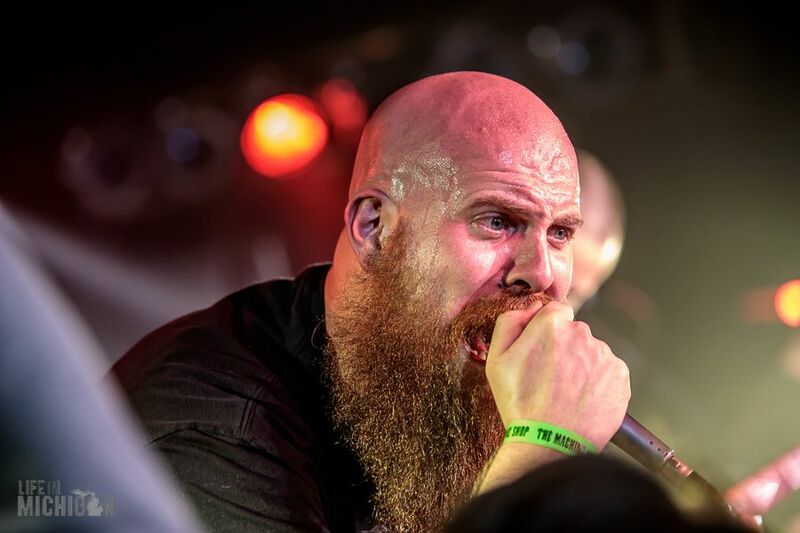 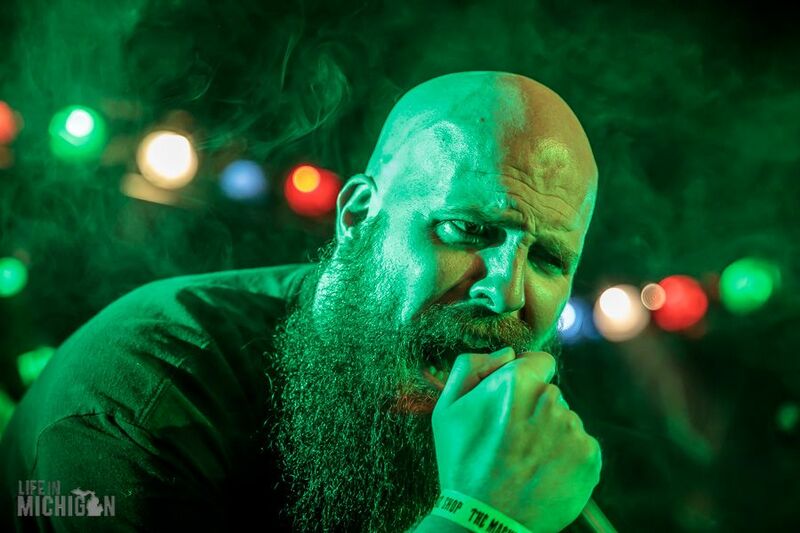  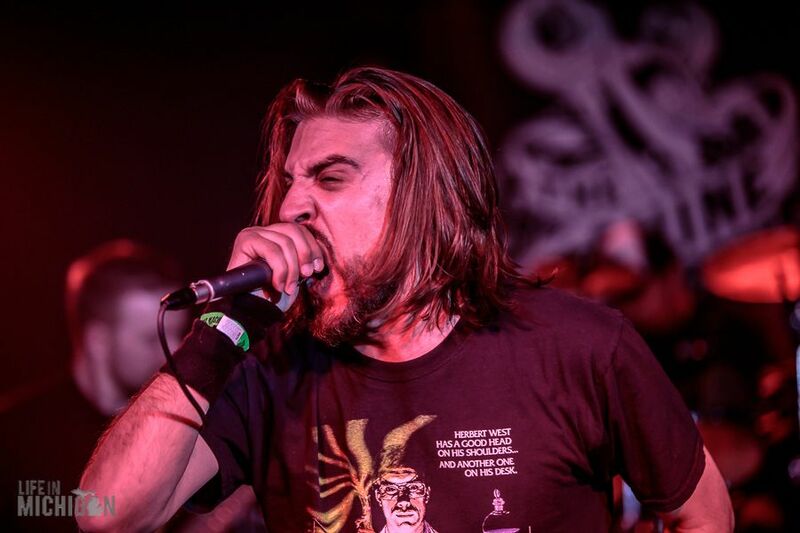 Jay Shireman stalks the stage casting ruin with his guttural death vocals. 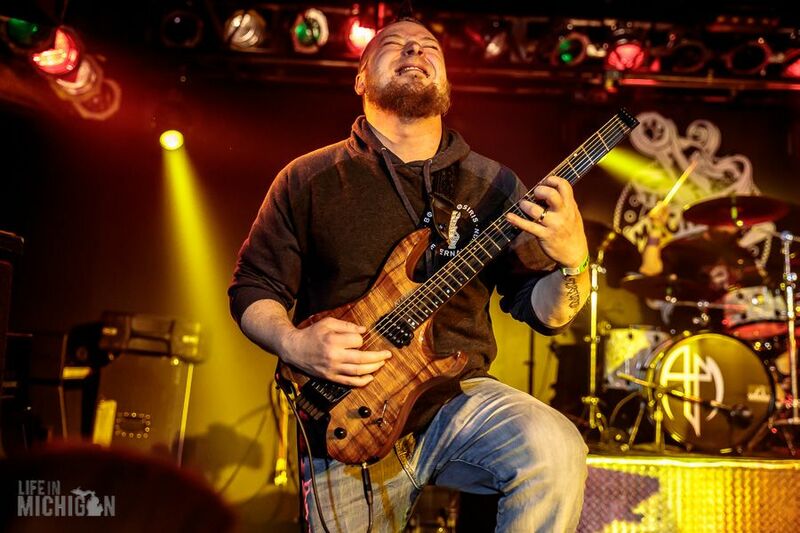 Guitarists Nathan McKervey and Chris Allen take residence on each side of the stage and set blurring picks to work creating deathly riffs. 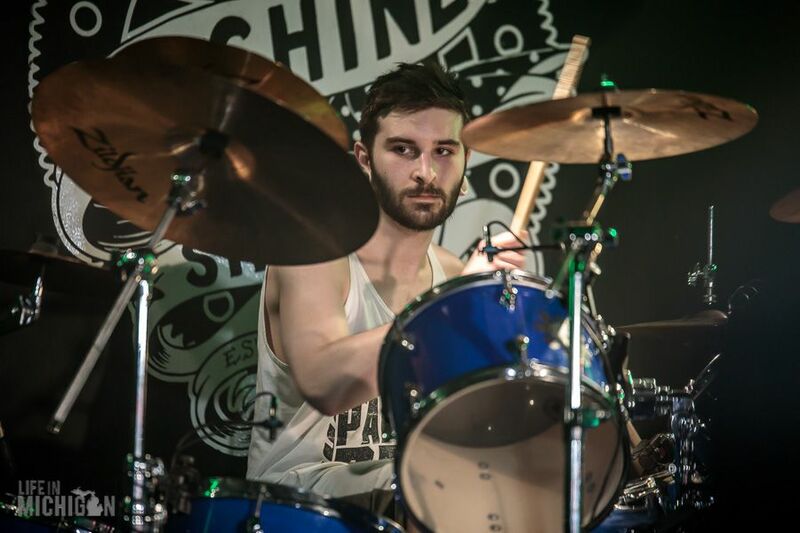 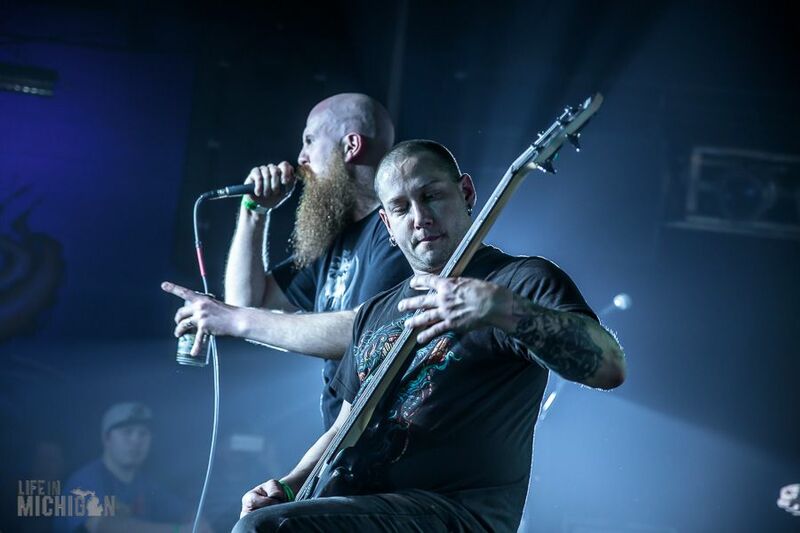 The brutal force of their musical performance is magnified by the rhythmic assault of drummer Pete Onderko and bassist Dan Faulman. 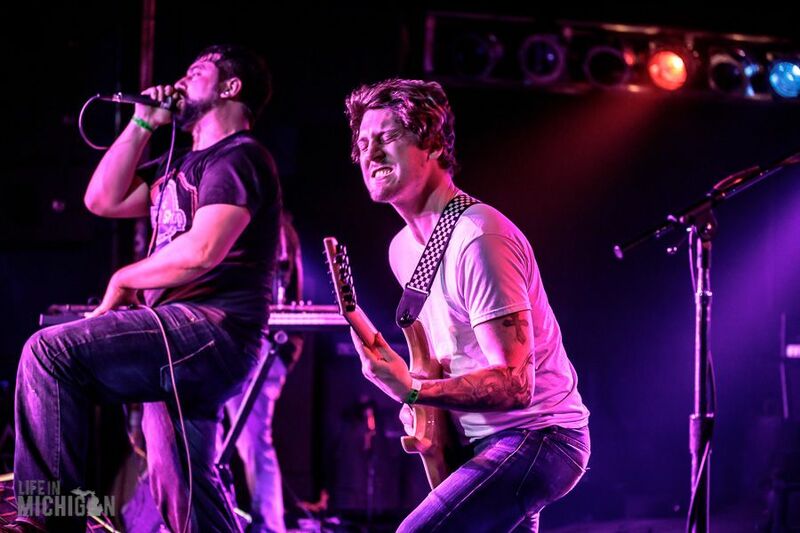 Together this band keeps the audience engaged and moving. 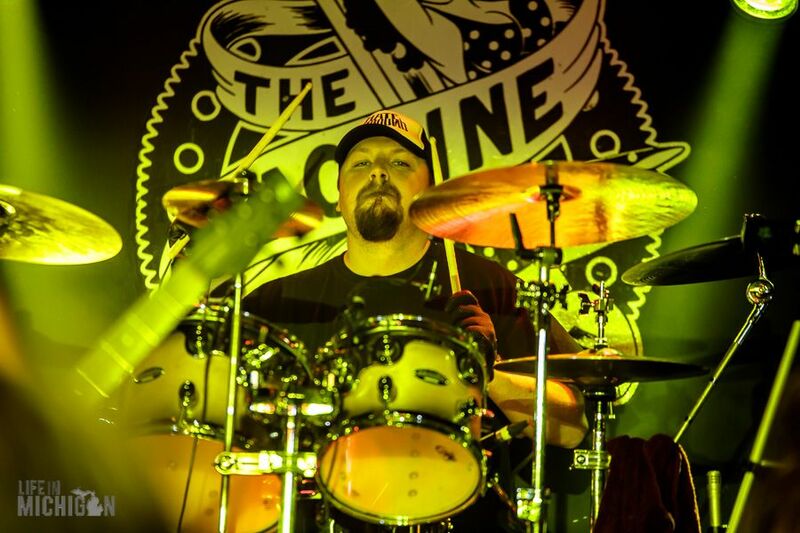 Putting the cap on an outstanding evening of metal is Absorbed. 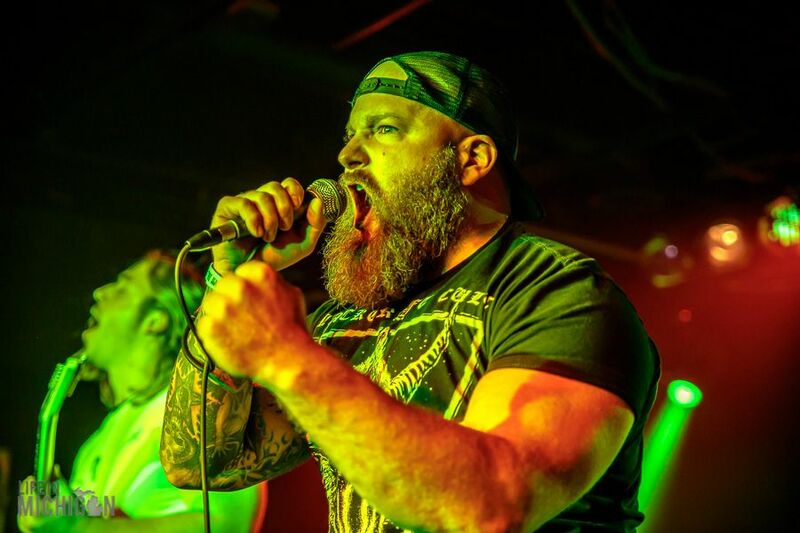 This is yet another fantastic metal band from Flint. 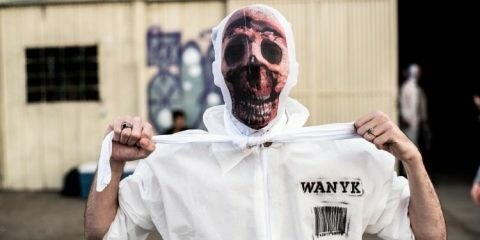 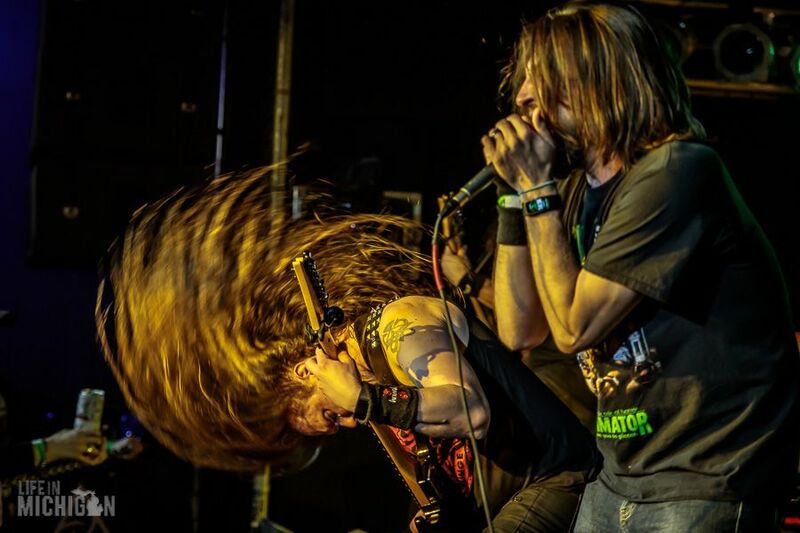 They mix black metal, thrash and death into a highly charged chaotic hurricane of sound. 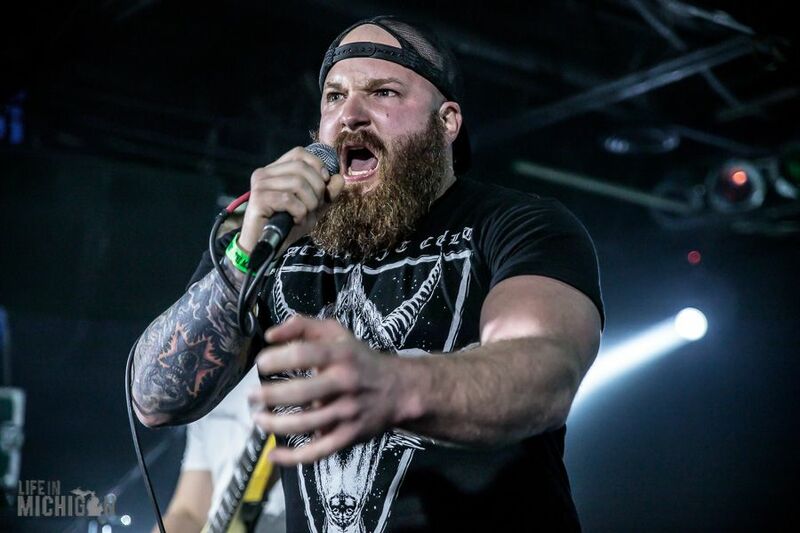 They have a new EP called No Lives Matter and played the title cut which meets with enthusiastic yells from the audience. 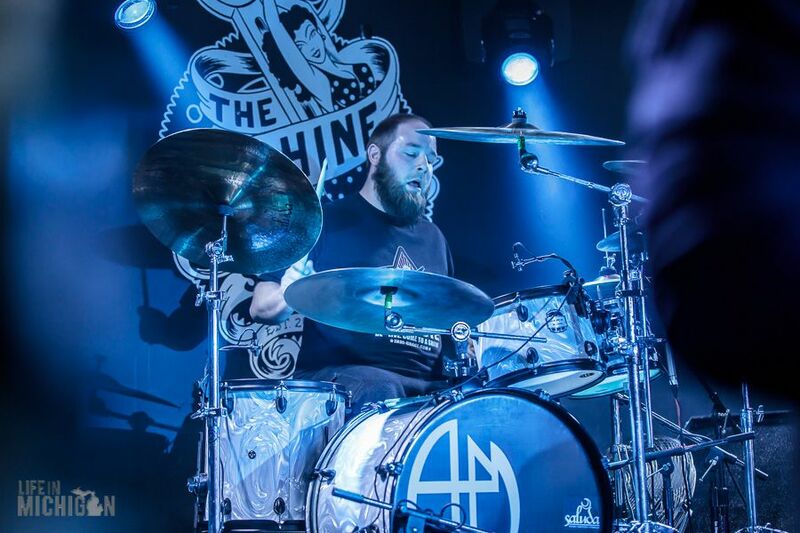 They also play â€œHand of a Giantâ€ which surely gives their new drummer a workout. 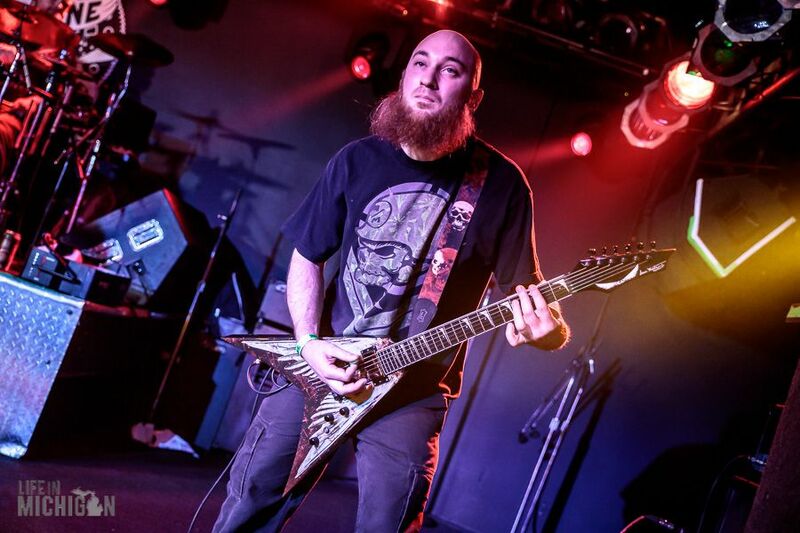 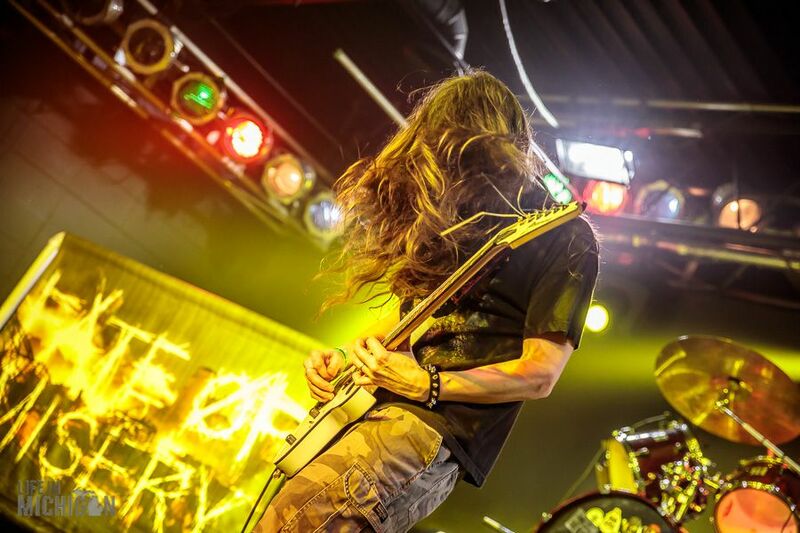 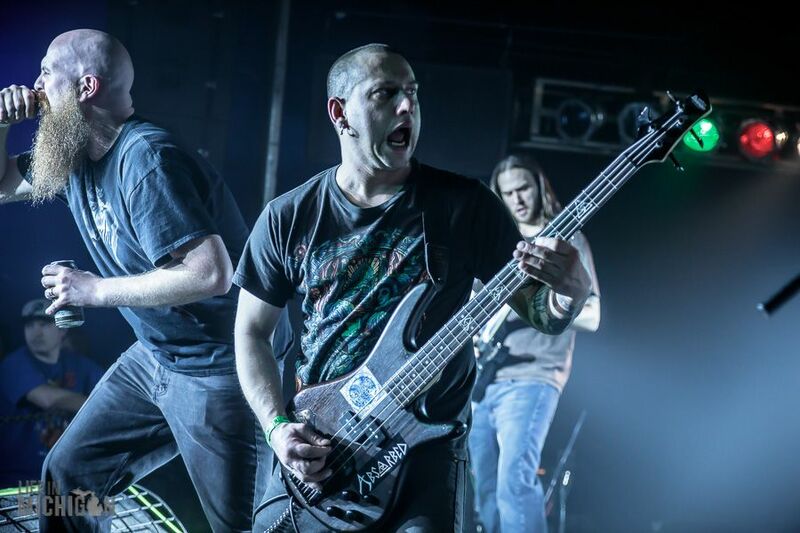 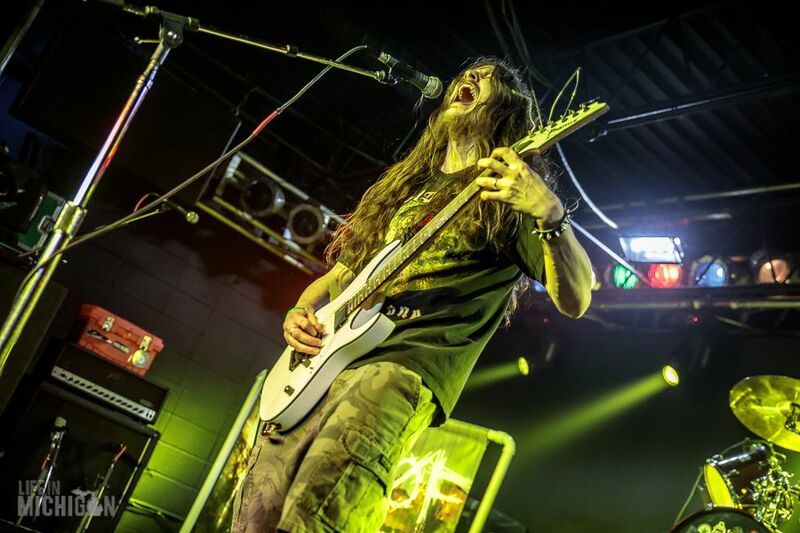 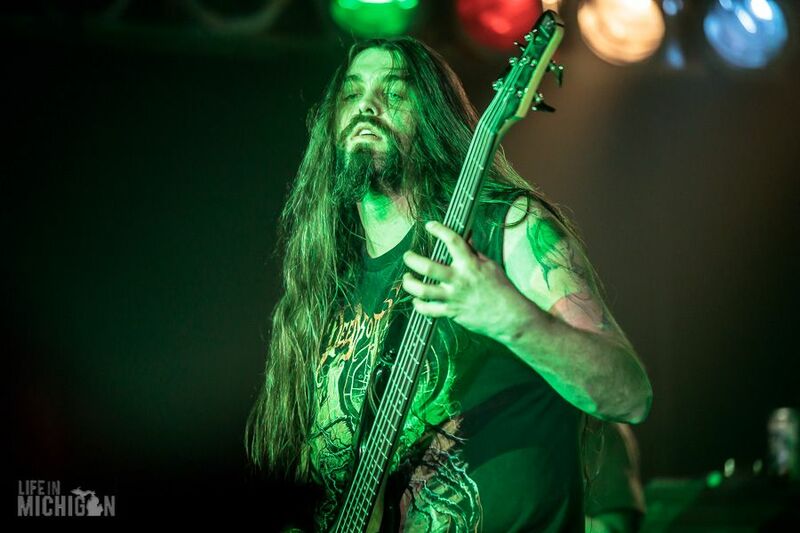 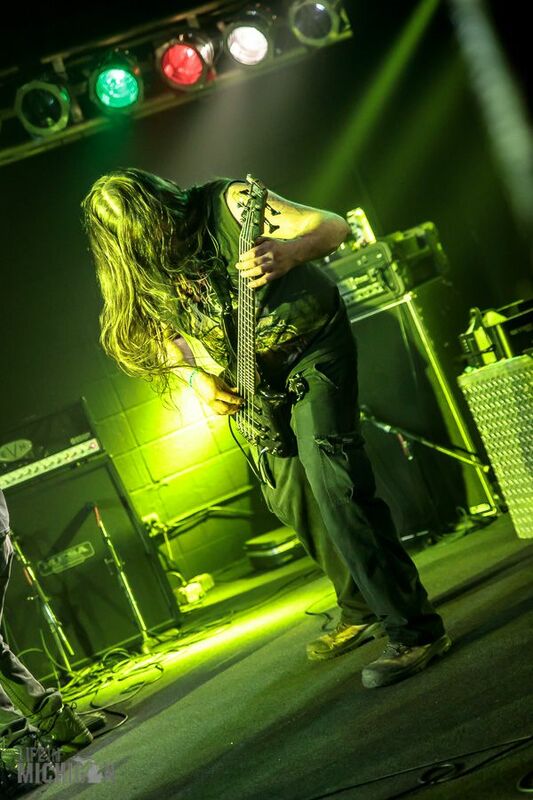 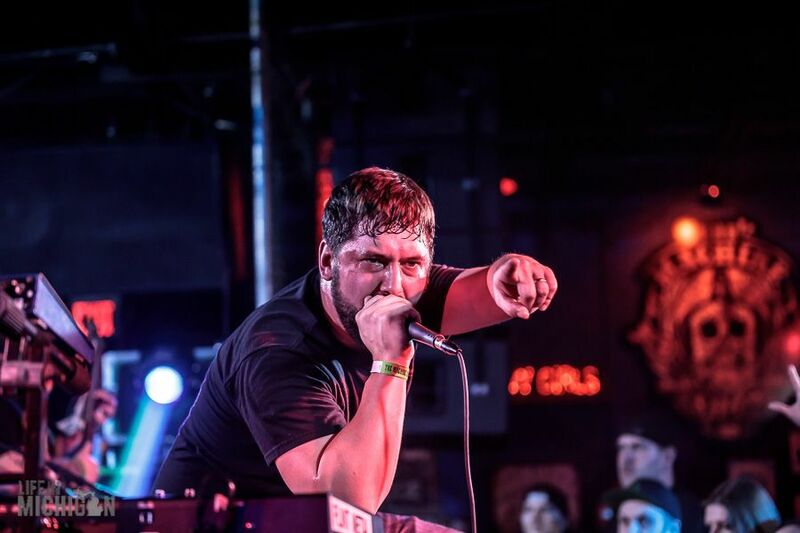 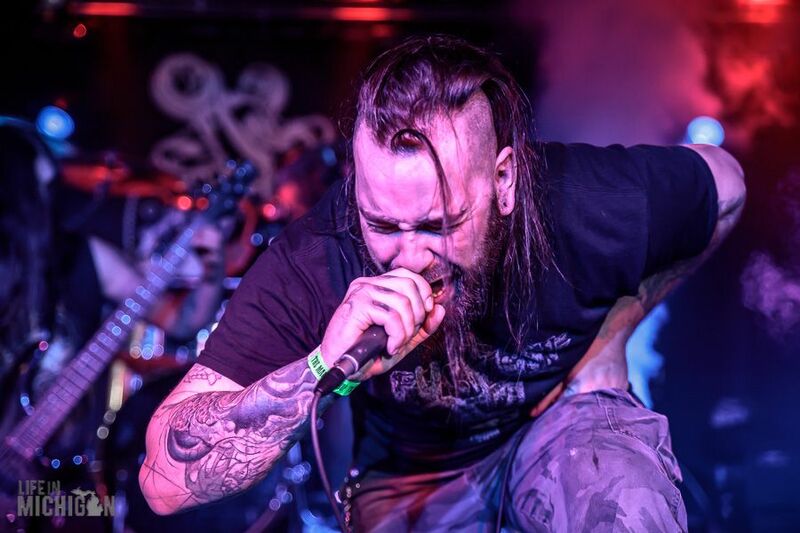 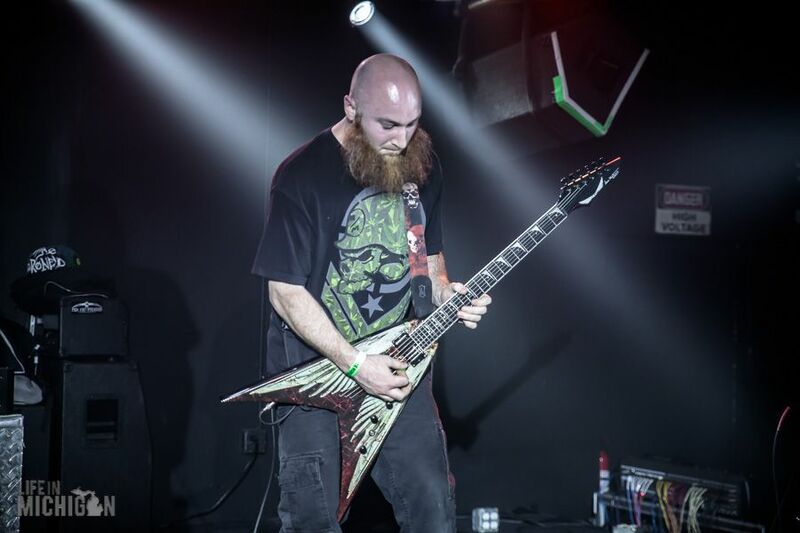 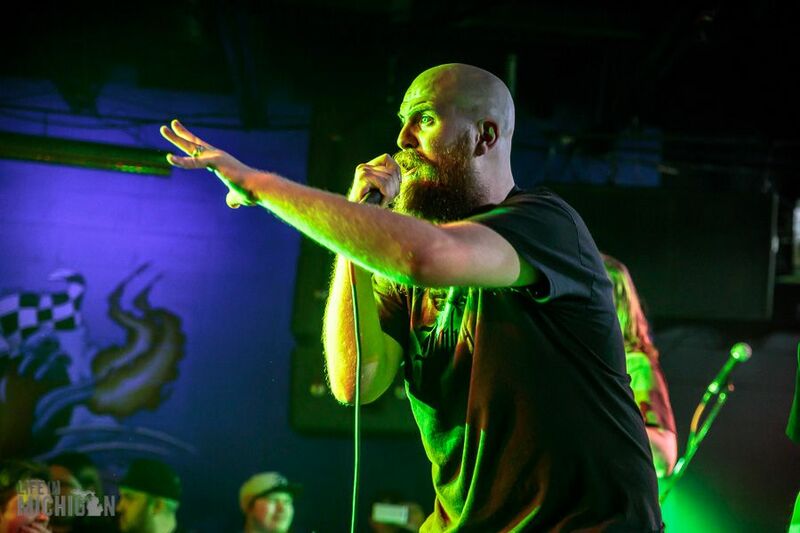 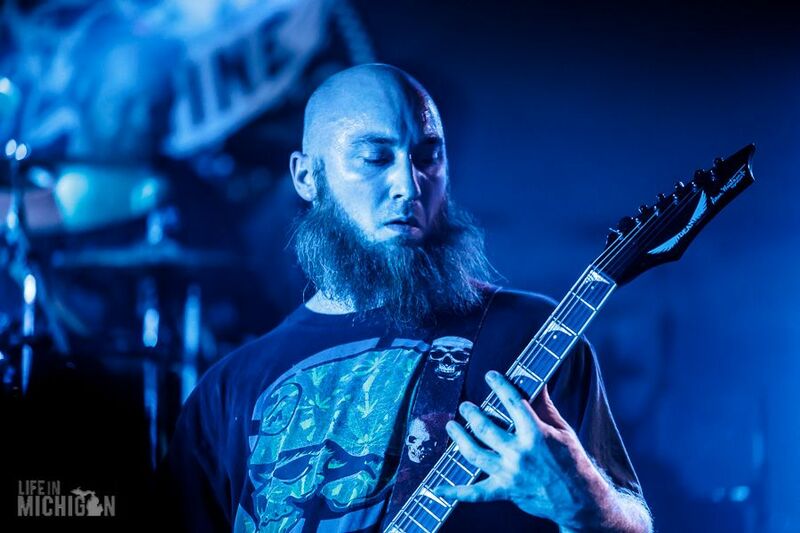 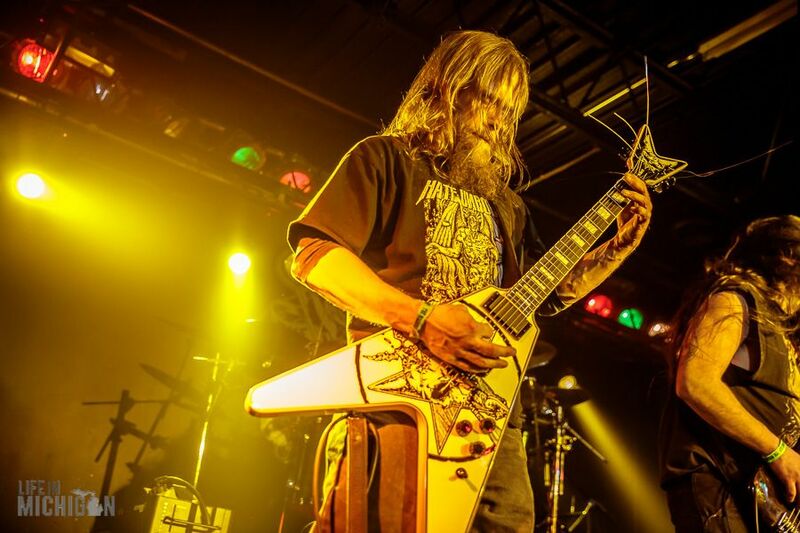 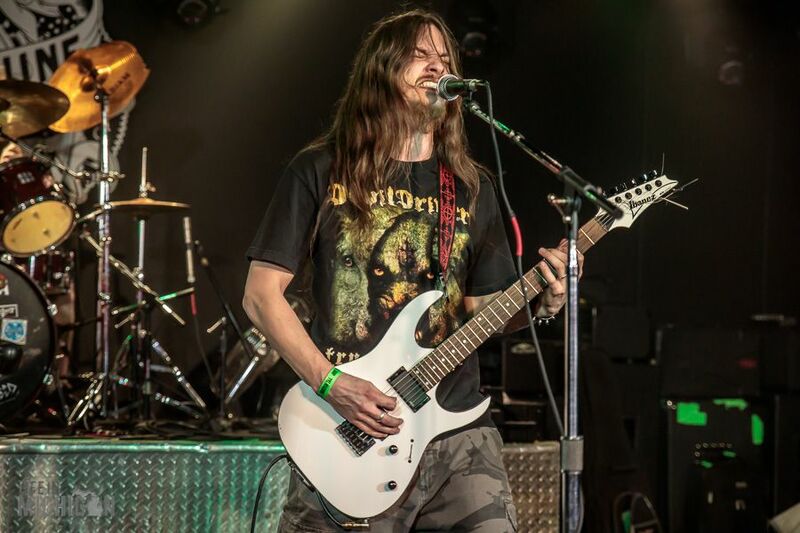 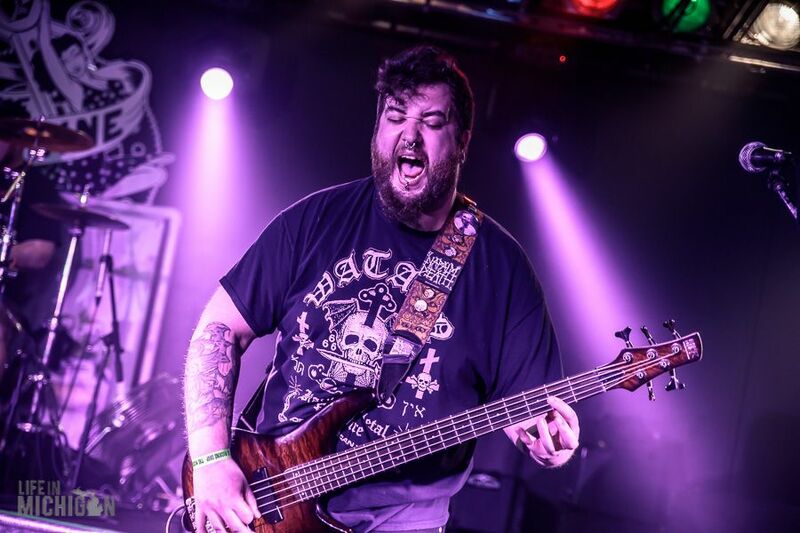 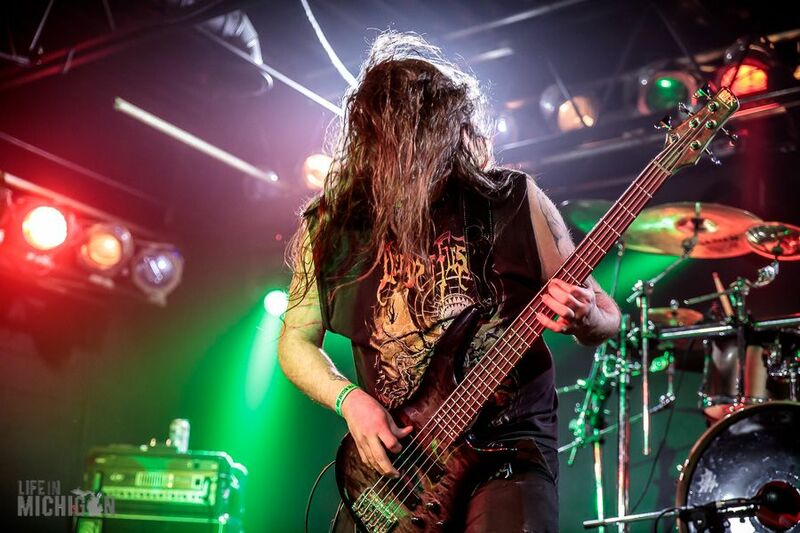 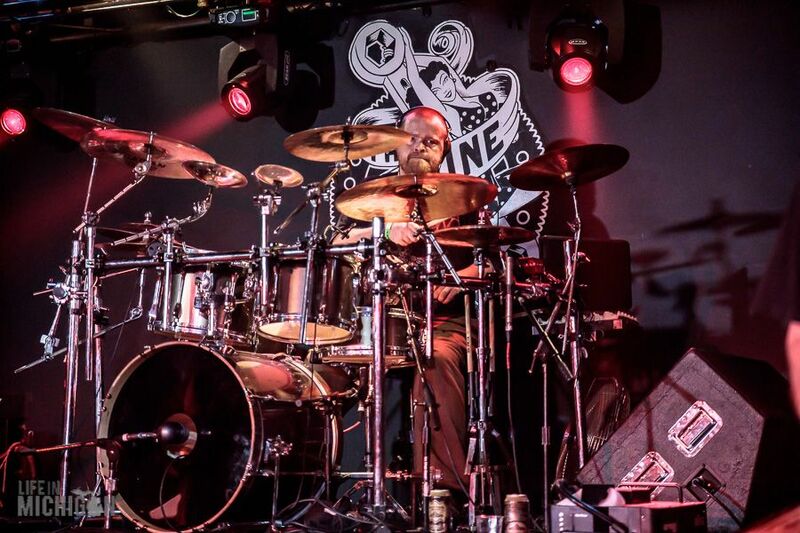 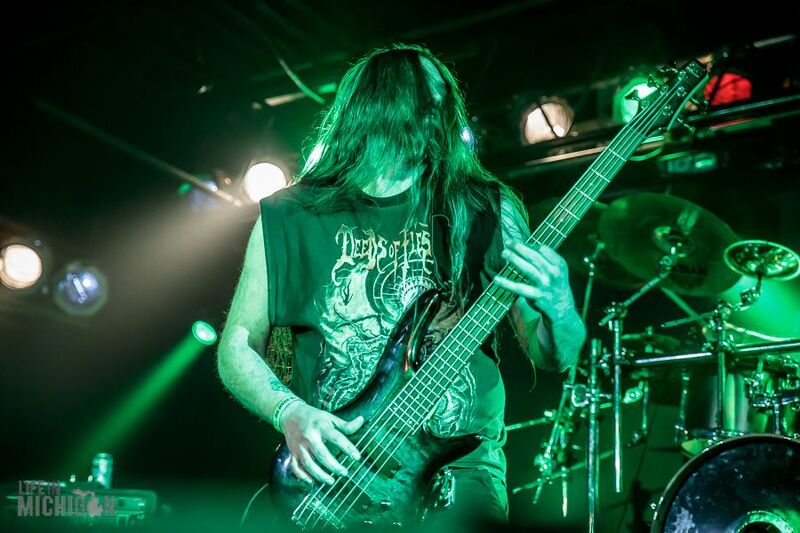 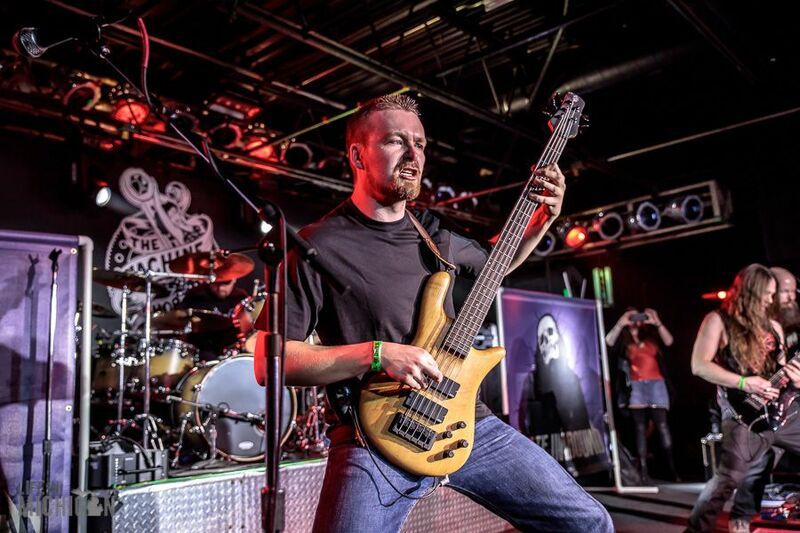 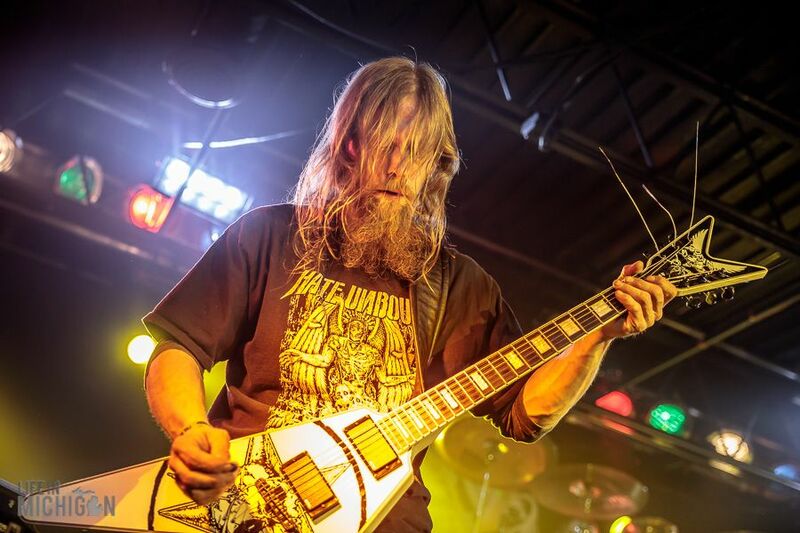 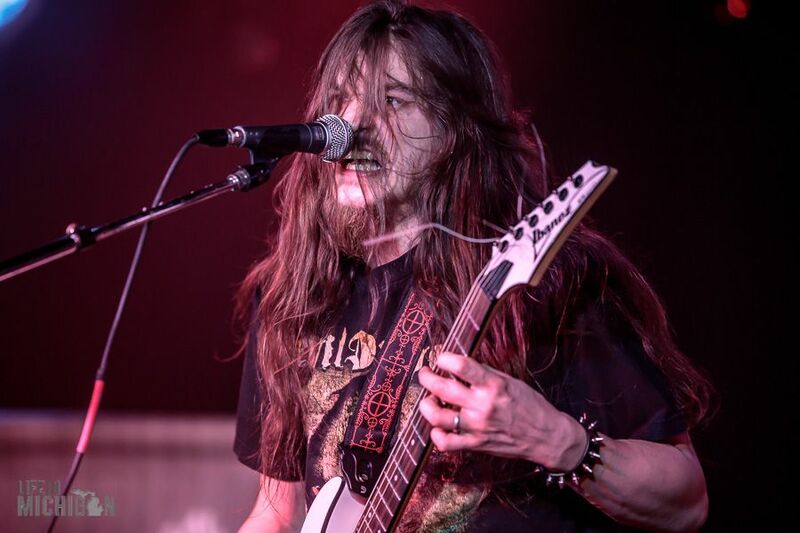 The Demise of the Enthroned EP release show at the Machine Shop demonstrates that Flint, Michigan is a leader in the development of national caliber metal music. 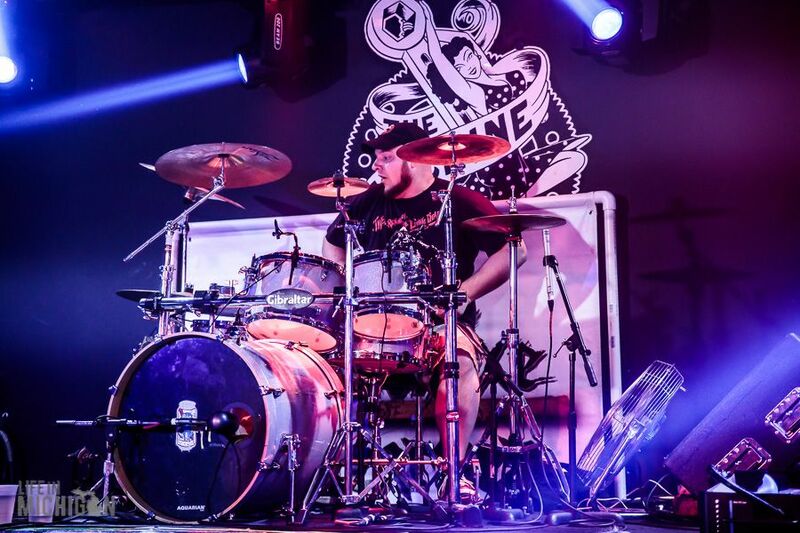 The sense of community and fellowship at this show is strong. 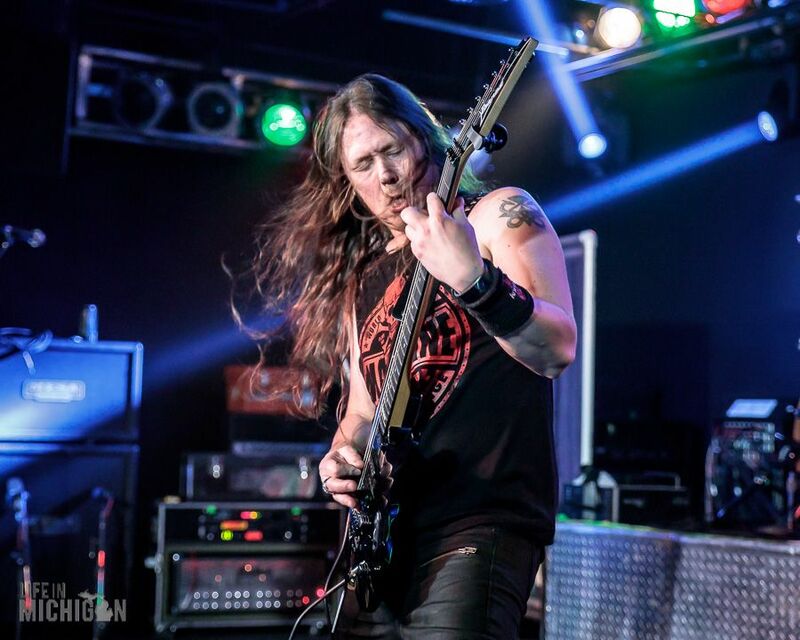 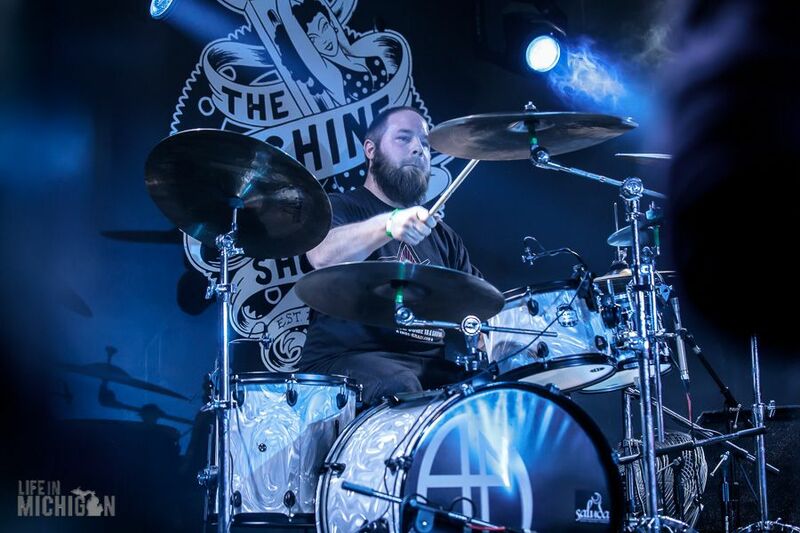 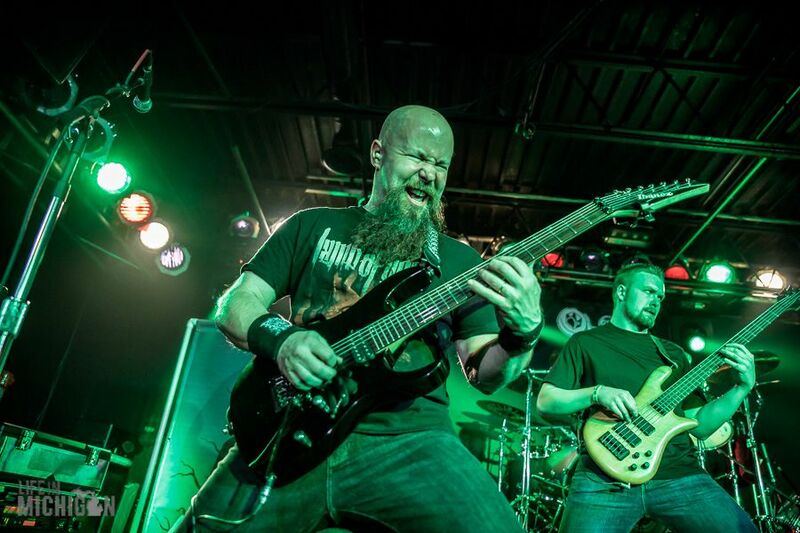 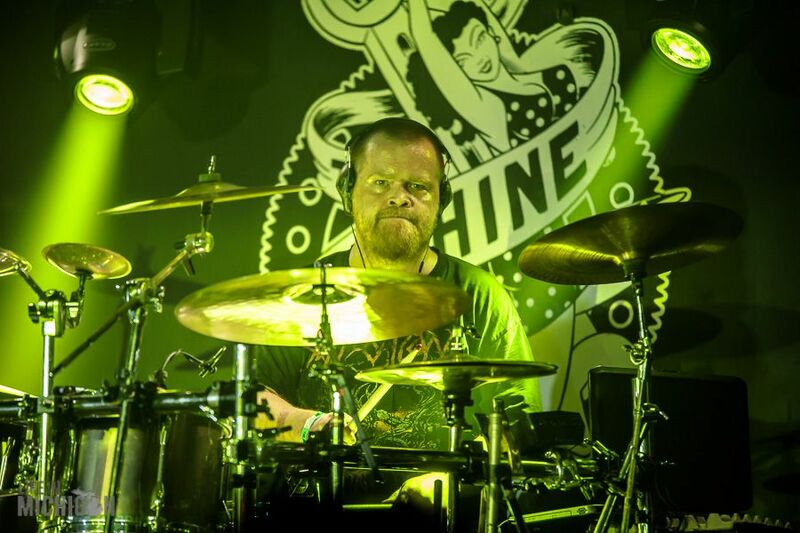 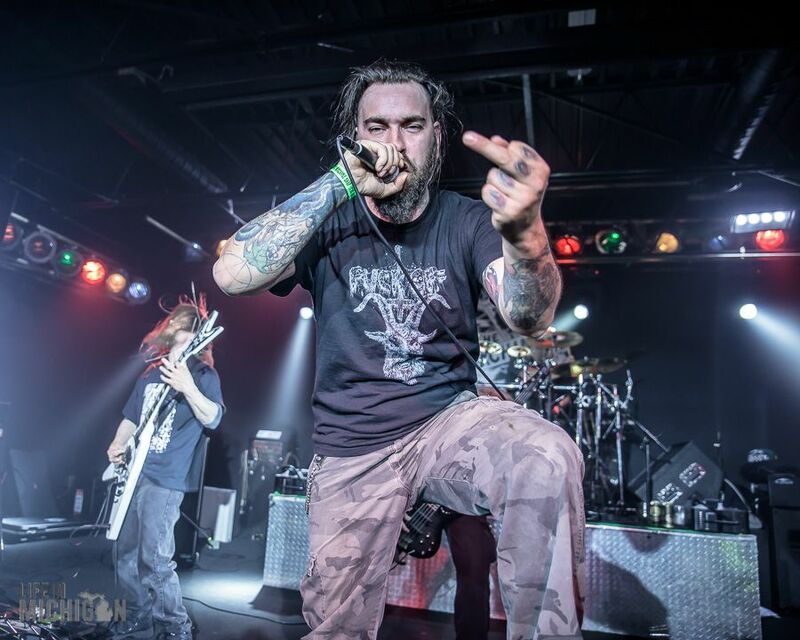 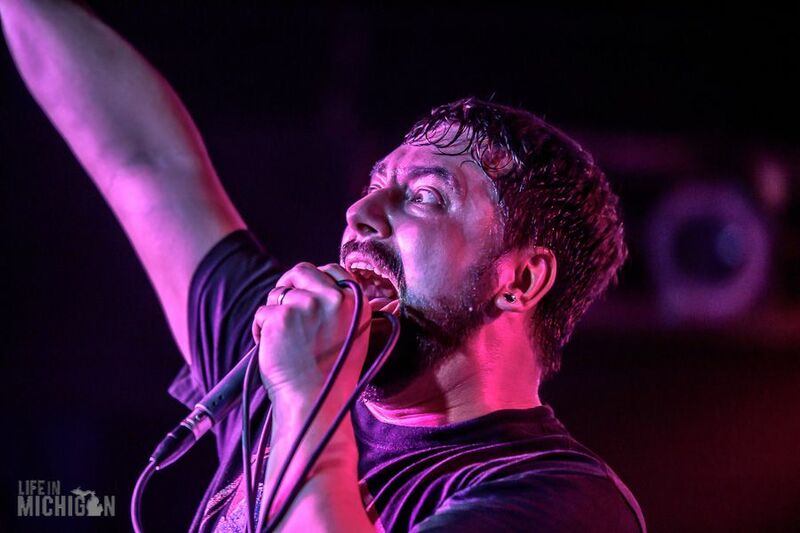 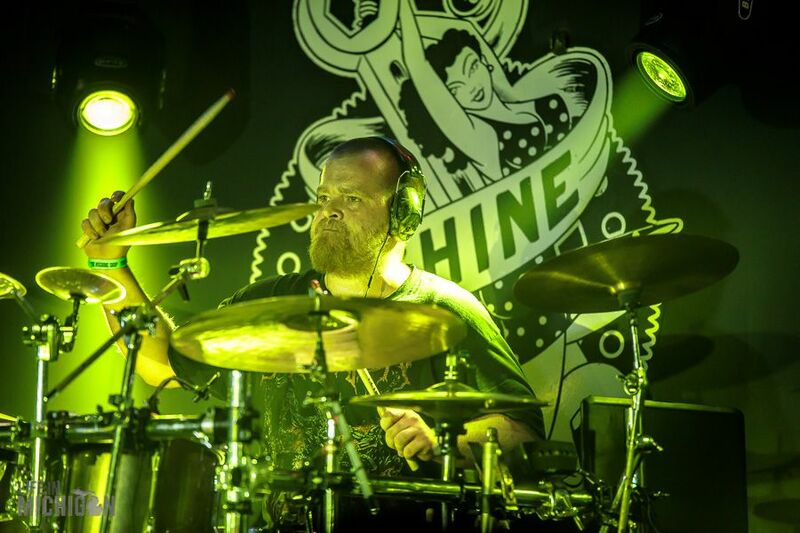 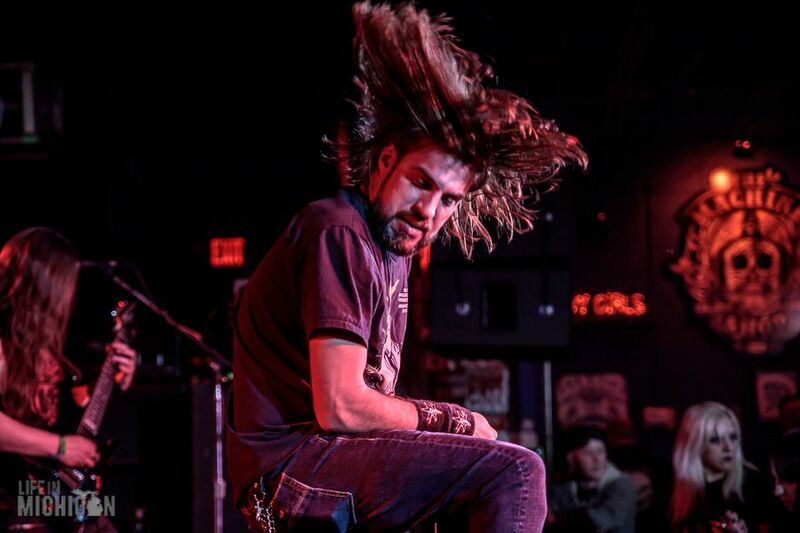 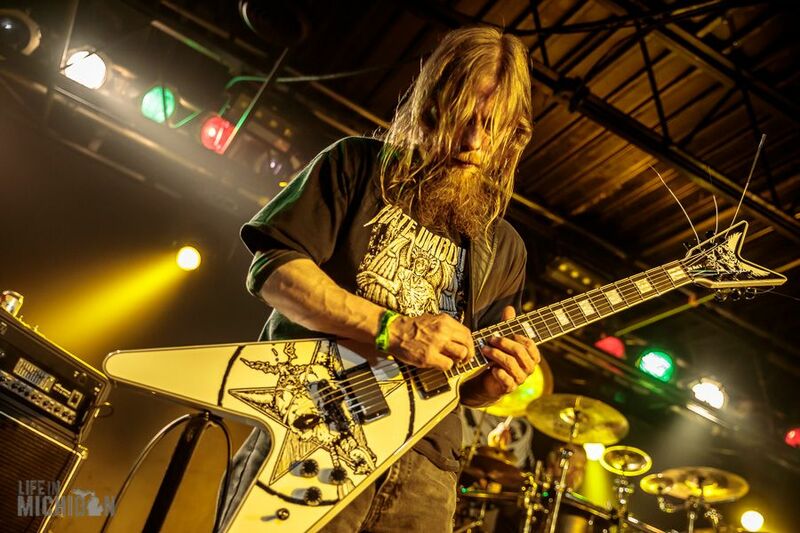 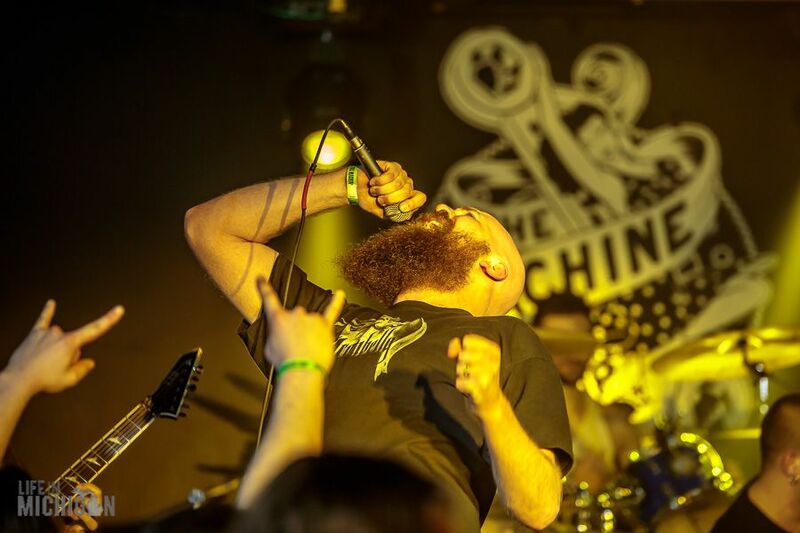 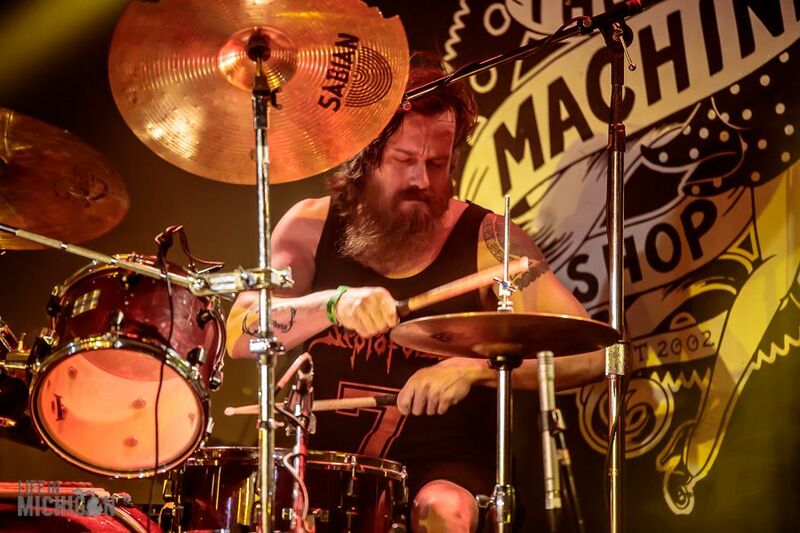 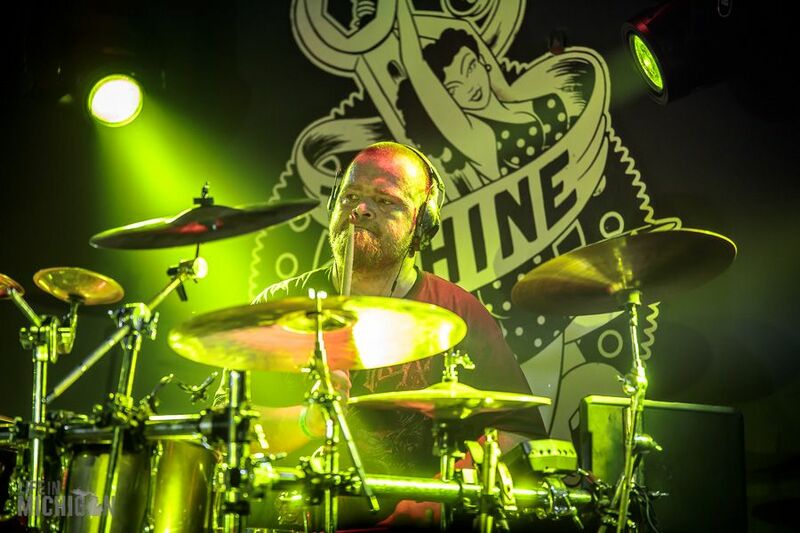 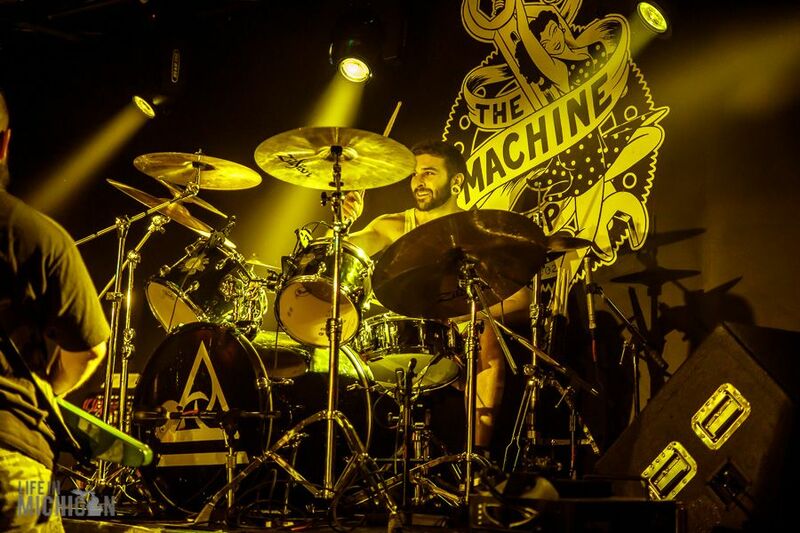 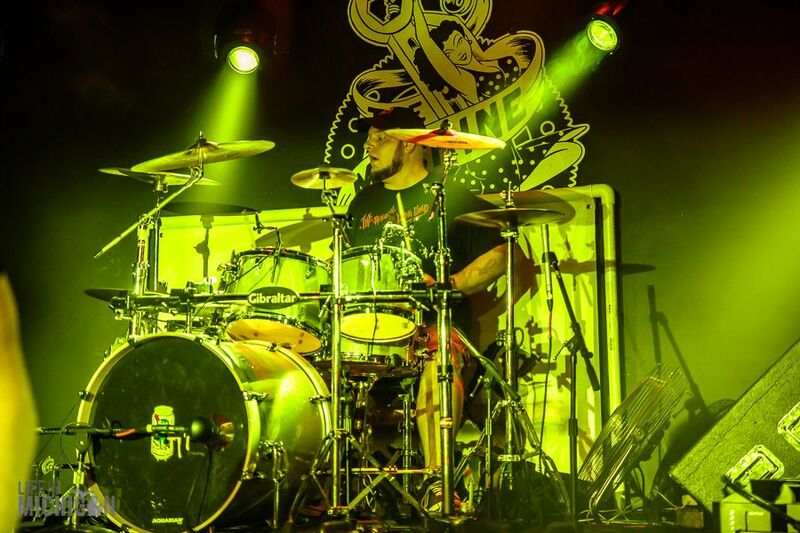 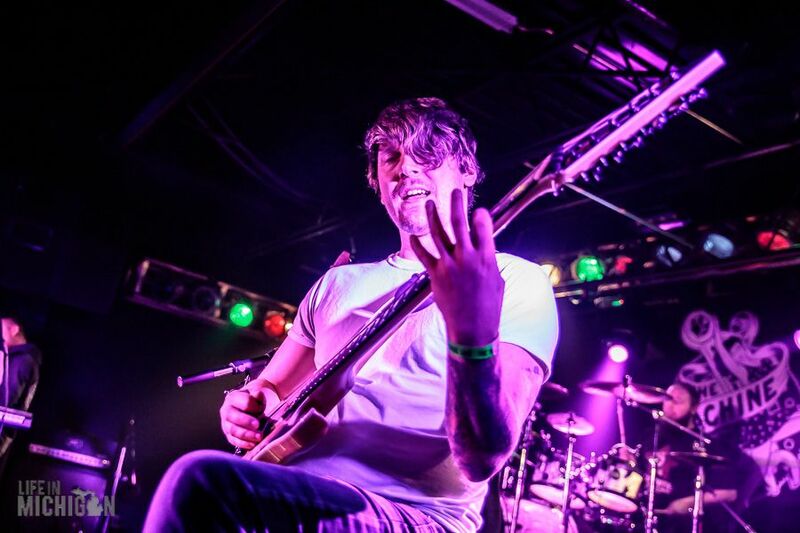 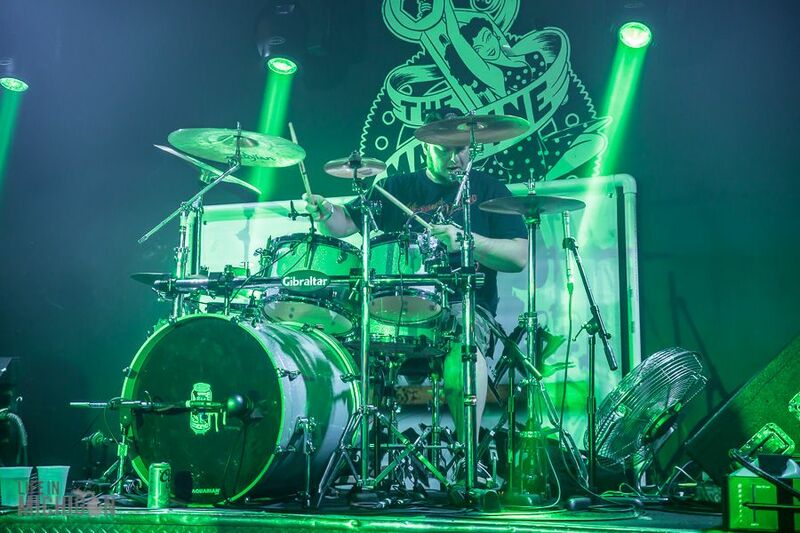 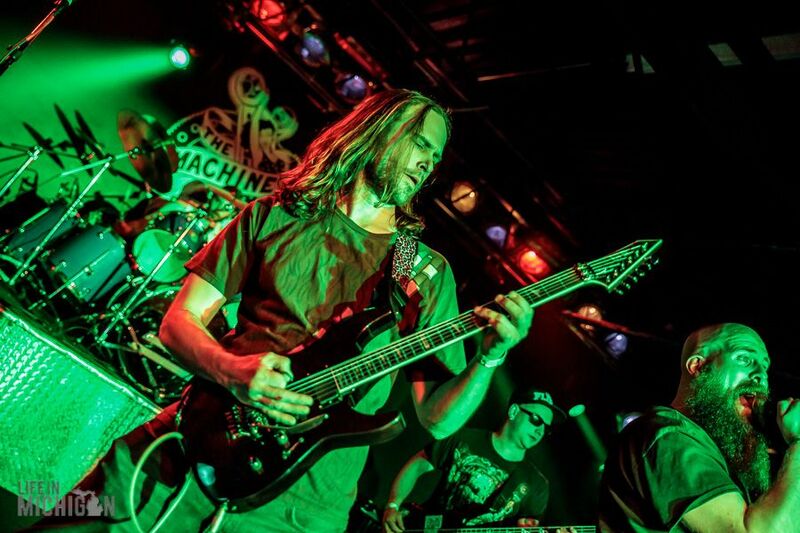 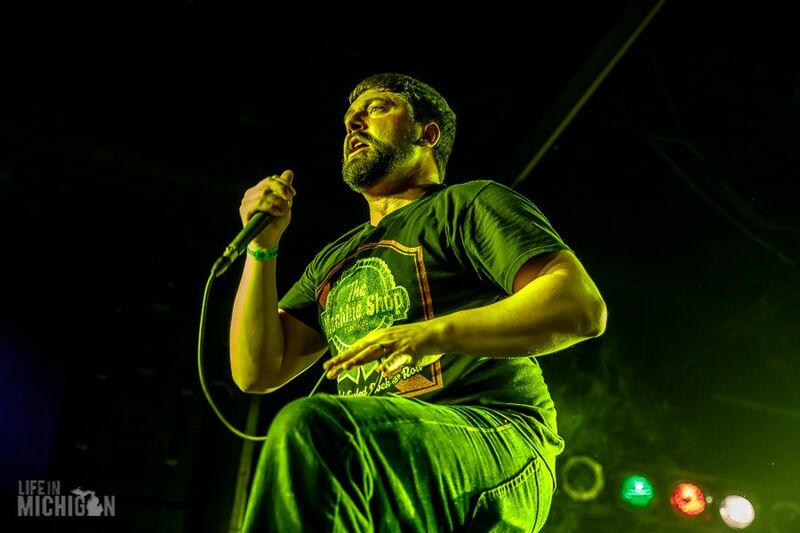 The Machine Shop deserves extra praise for bringing excellent rock and metal shows to the area in a venue that delivers great sound and service to its patrons.